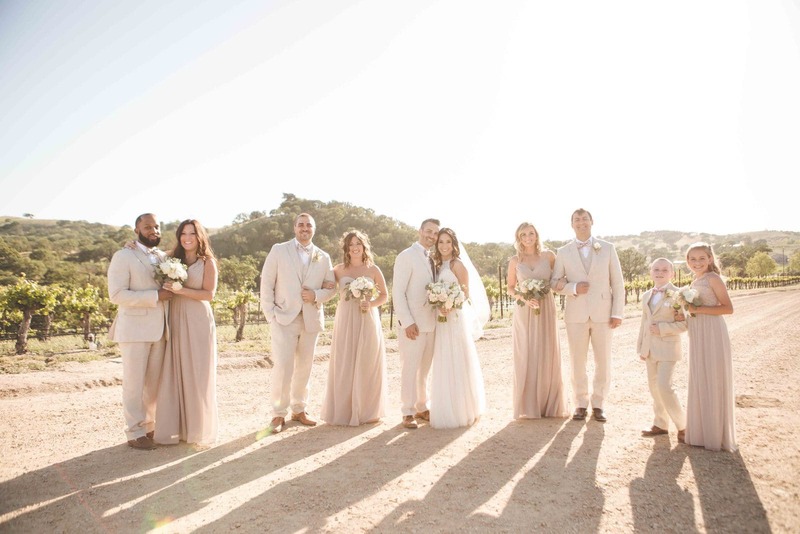 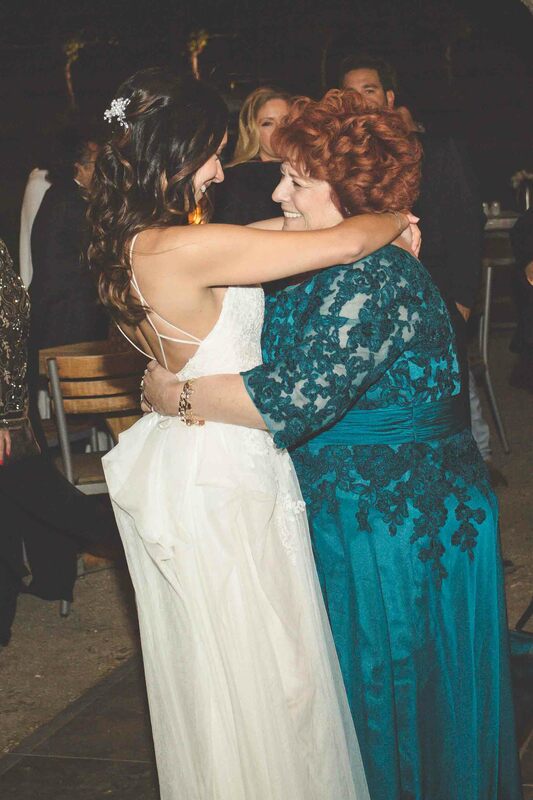 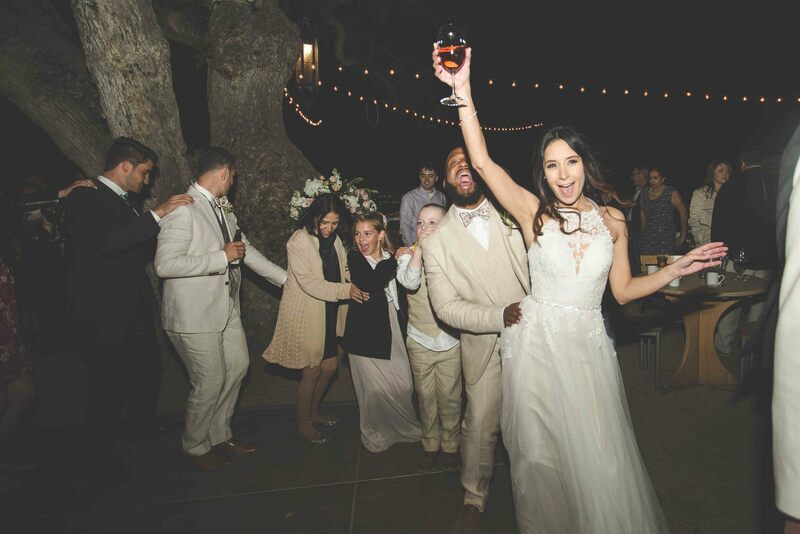 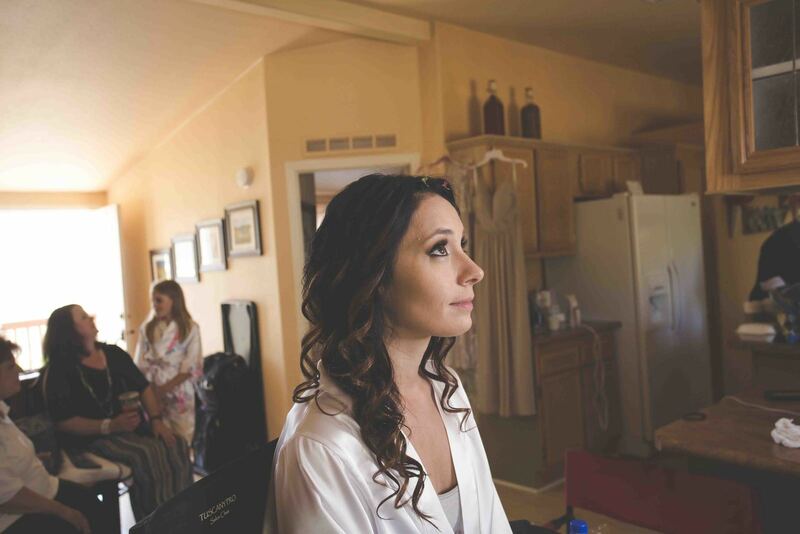 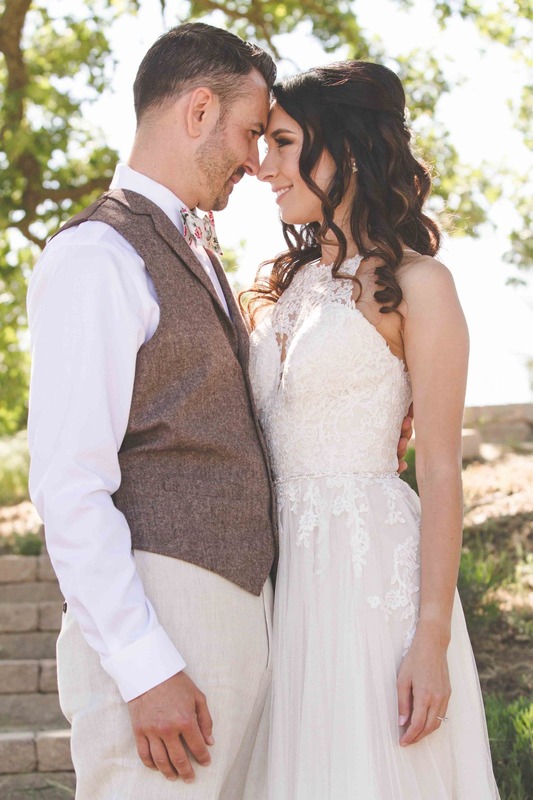 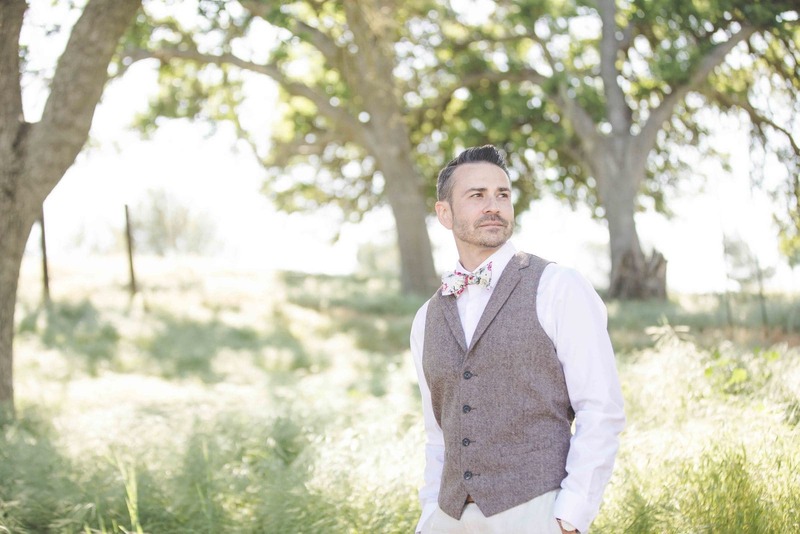 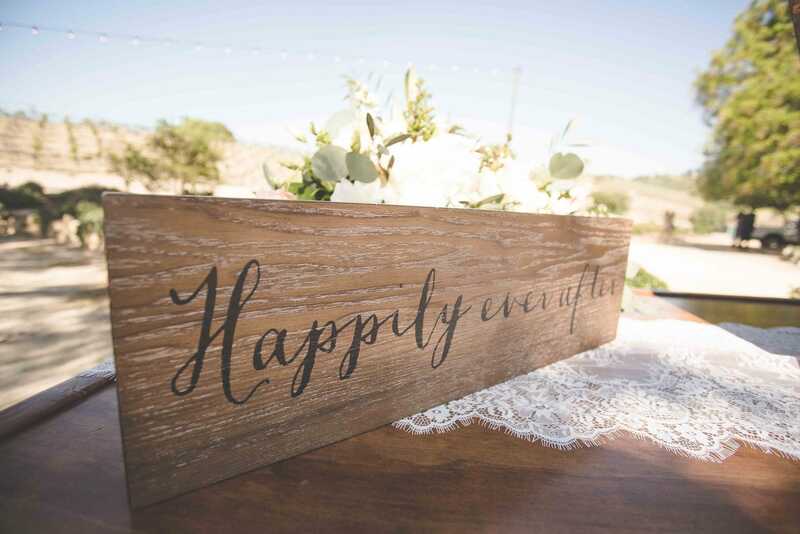 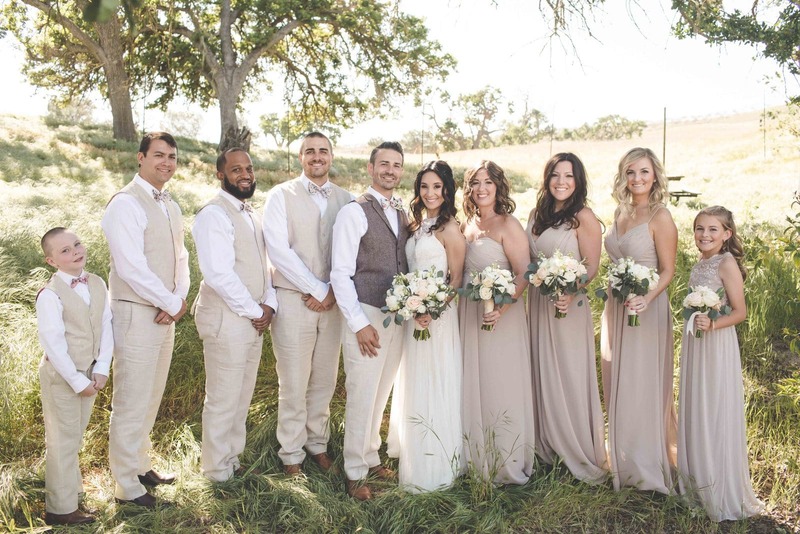 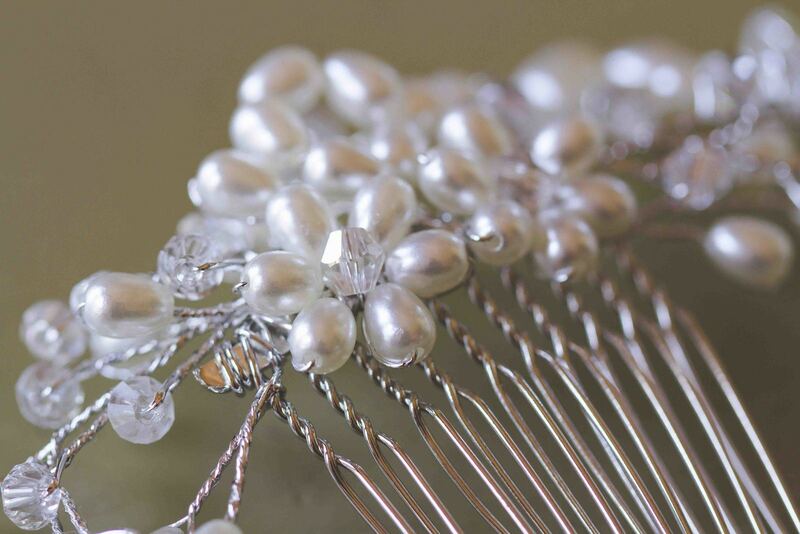 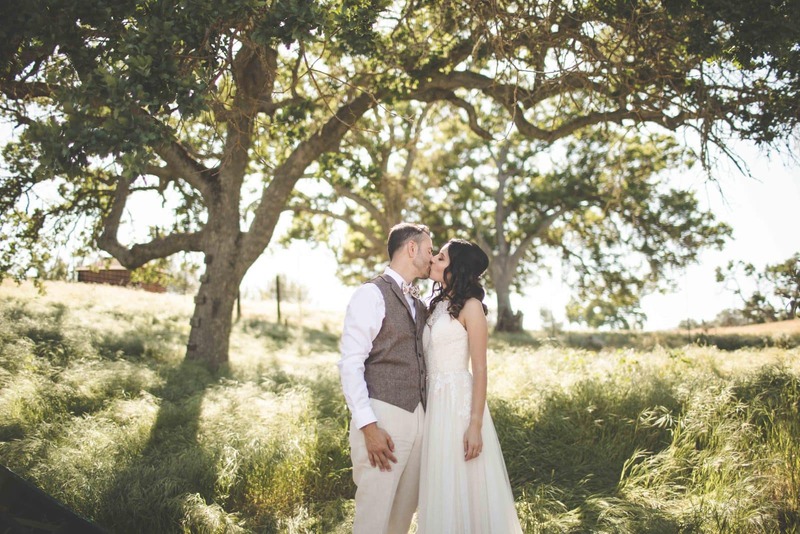 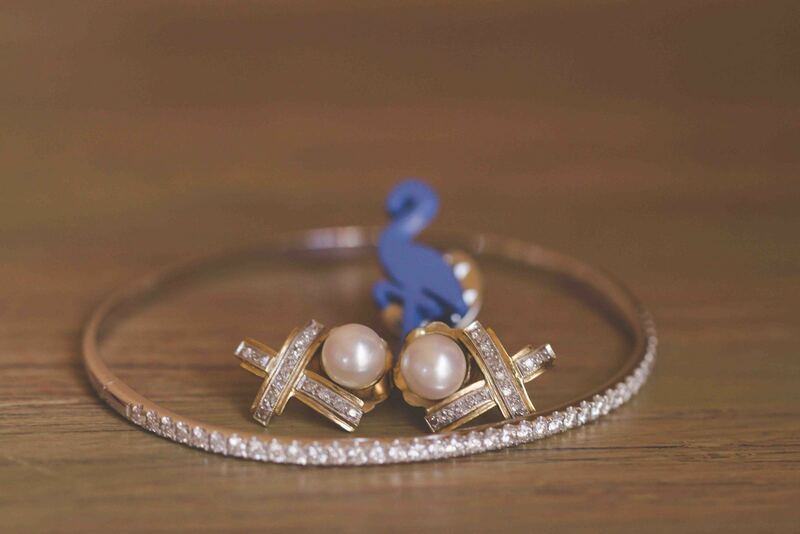 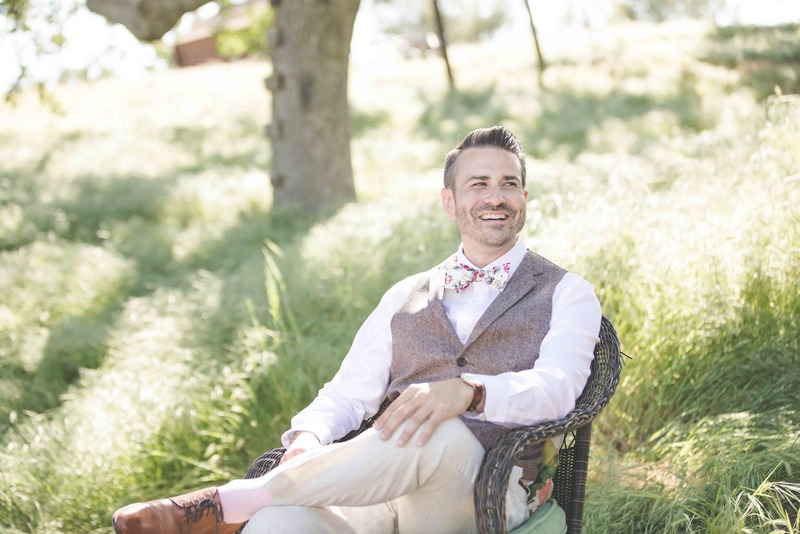 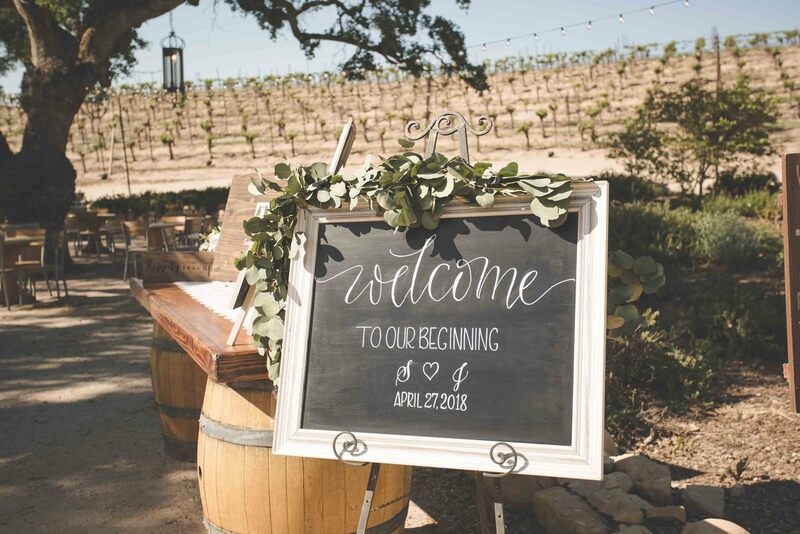 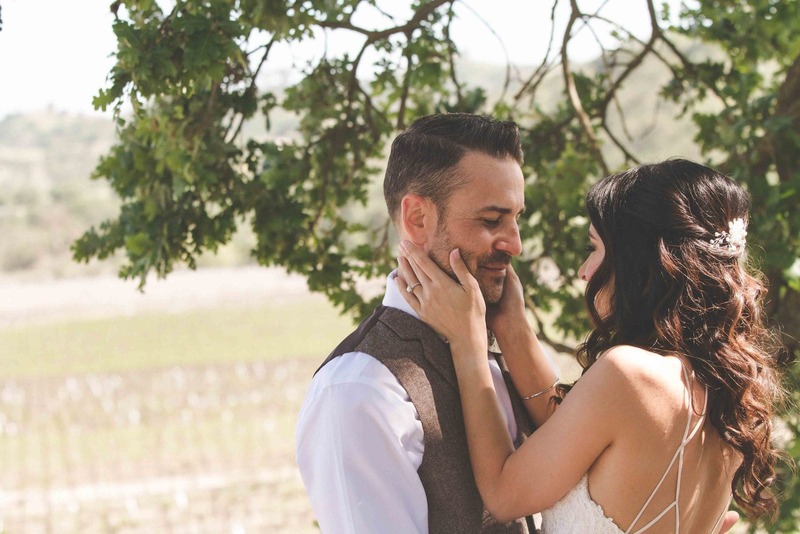 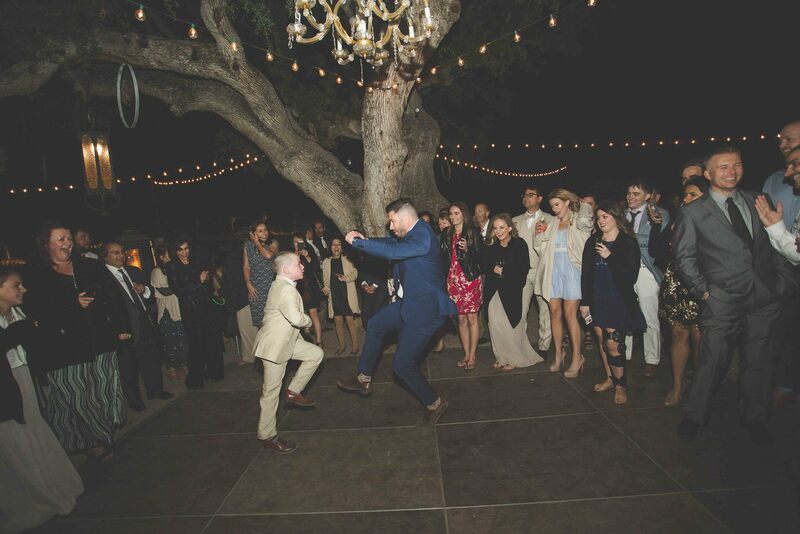 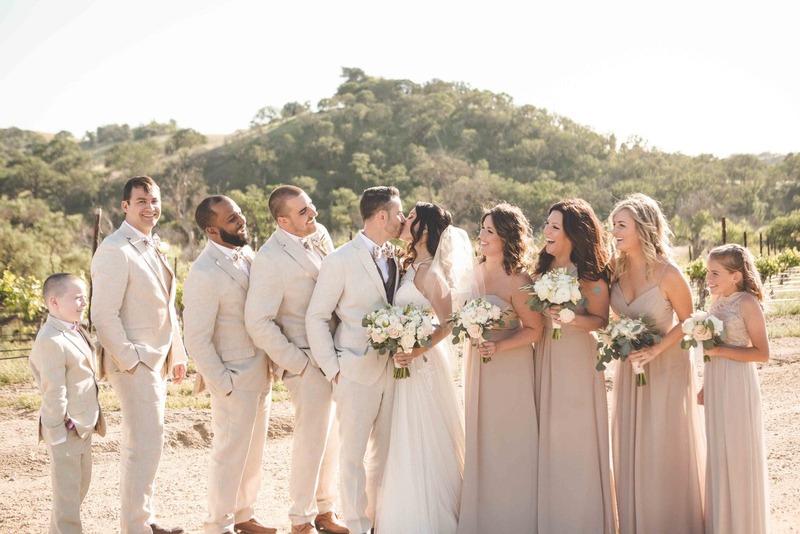 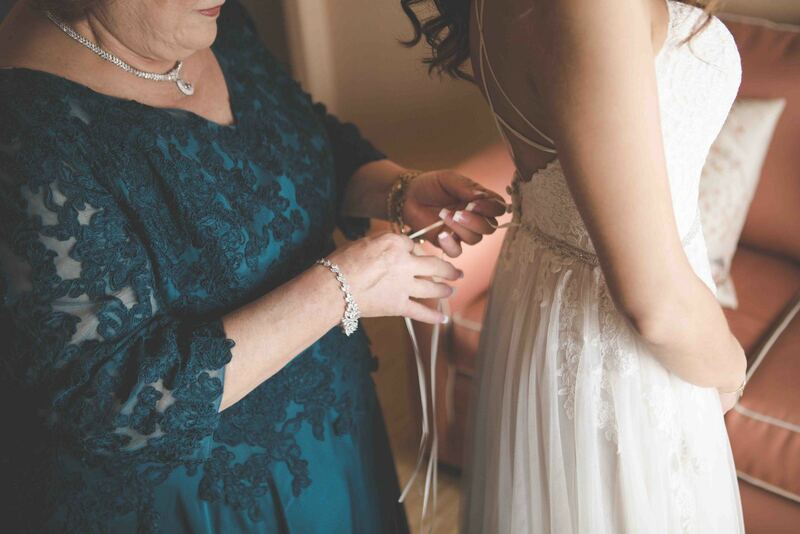 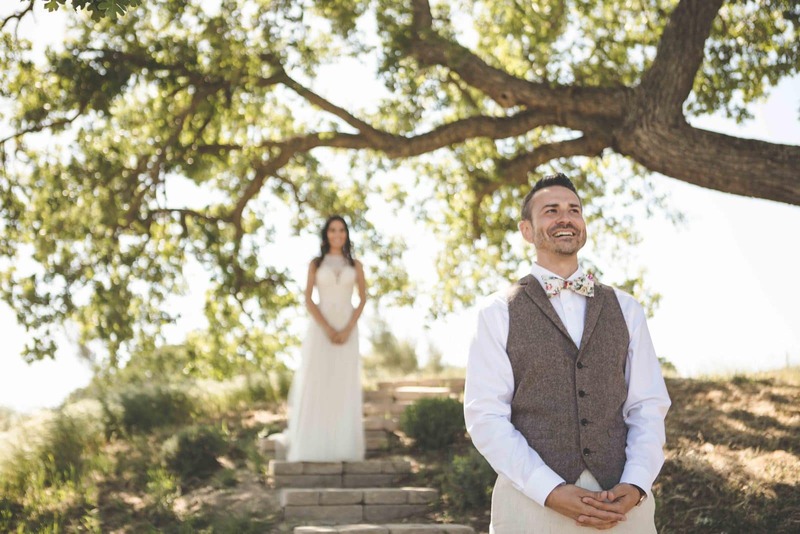 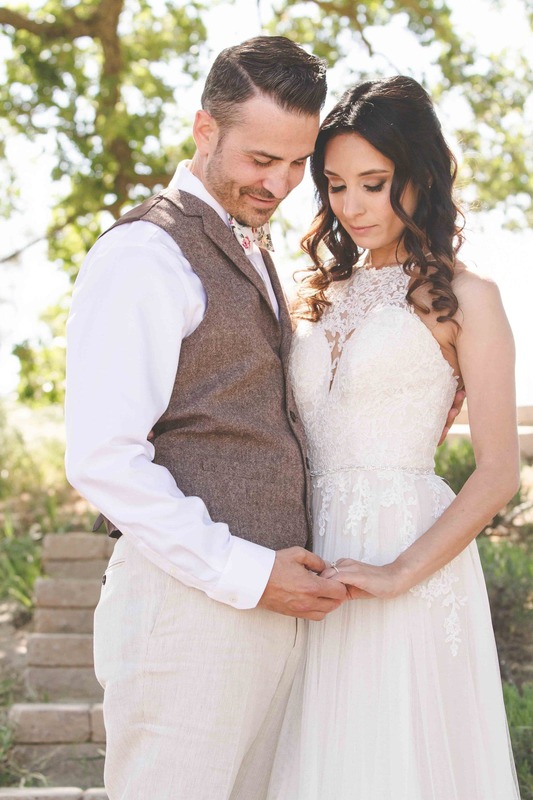 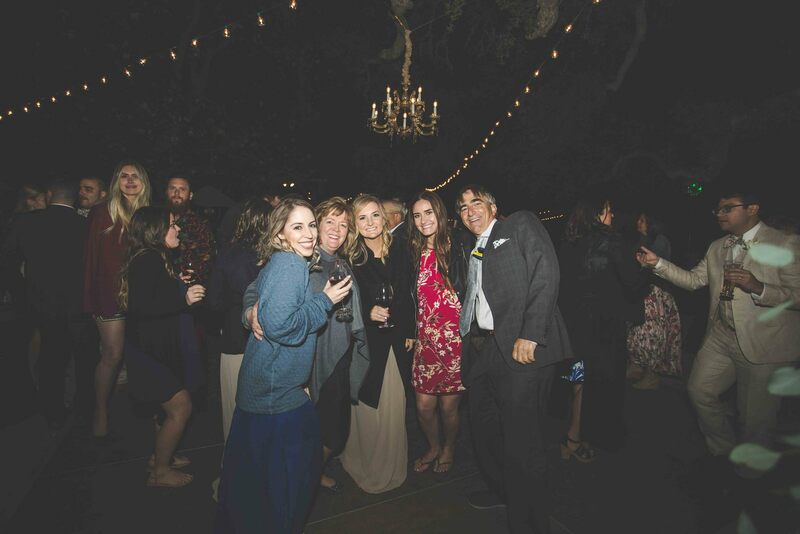 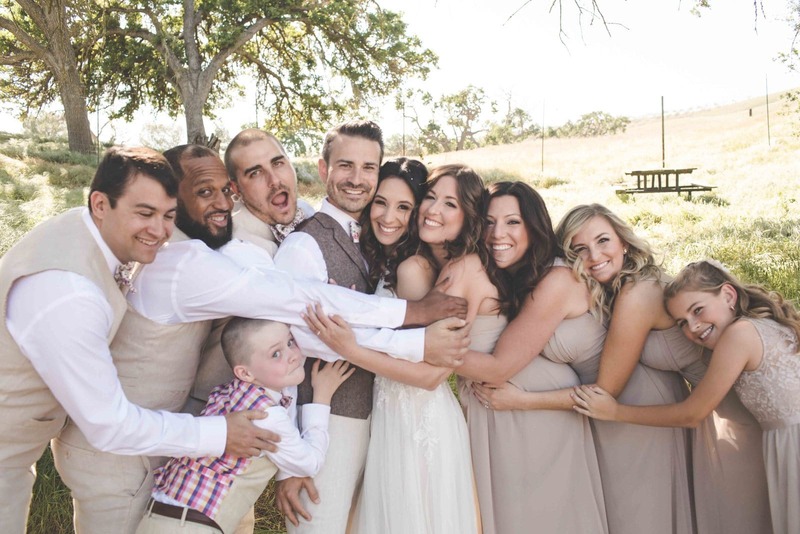 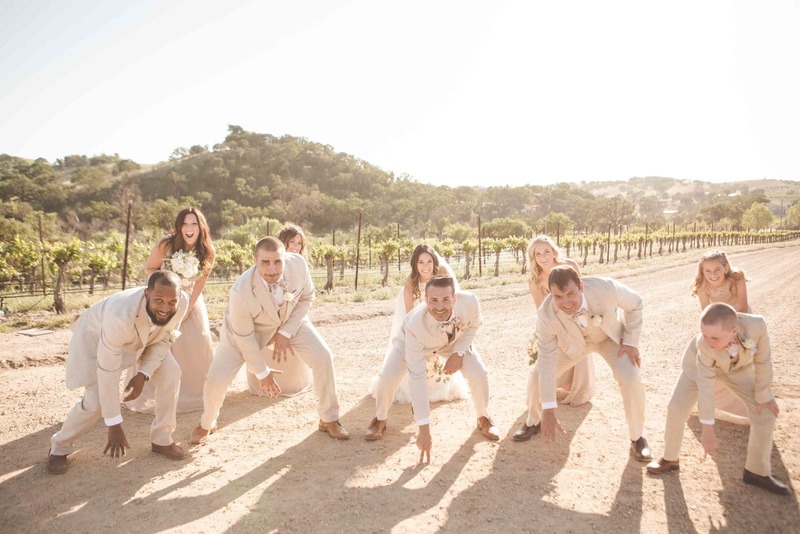 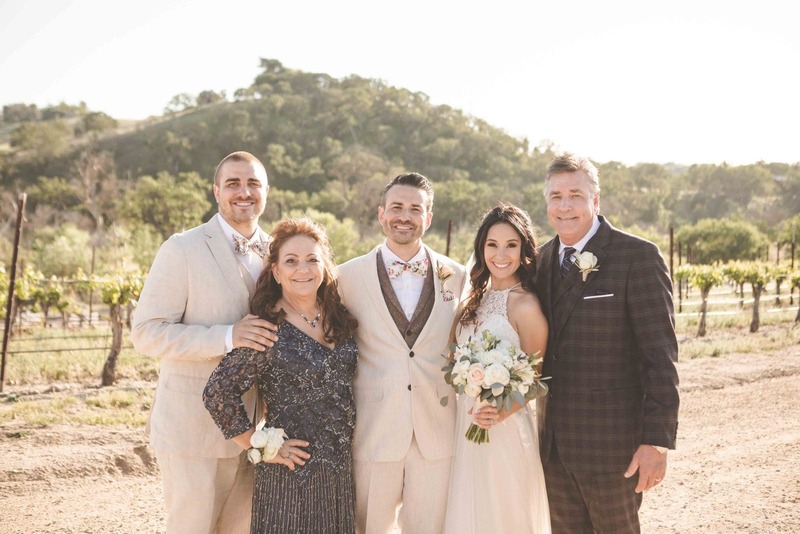 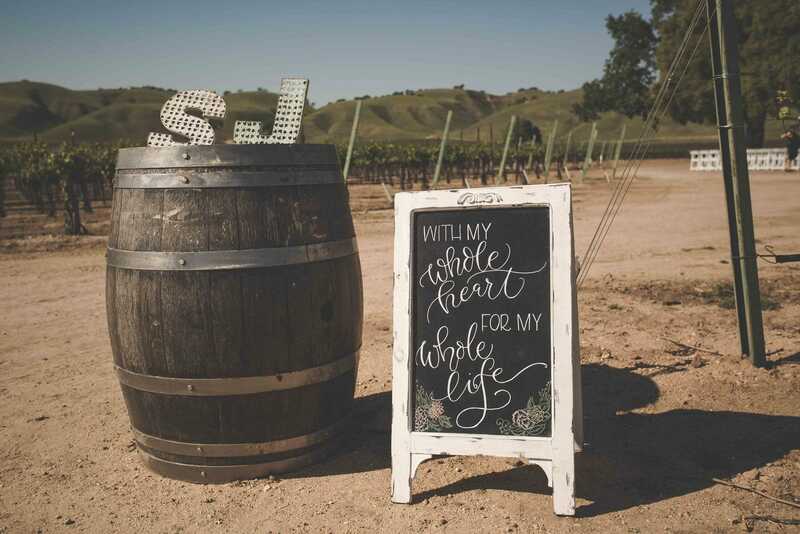 On April 27th, 2018, tucked away in the hillsides of Paso Robles Wine Country, Sarah and Jordan said “I do” under a lush oak tree surrounded by the ones they love the most at the beautiful Central Coast Wedding Venue, Cass Winery and the Kramer Events team was honored to be a part of their special day. 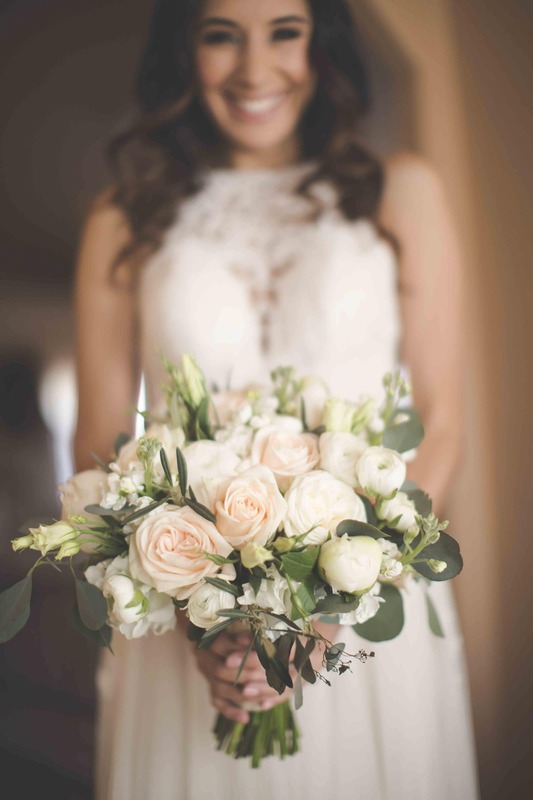 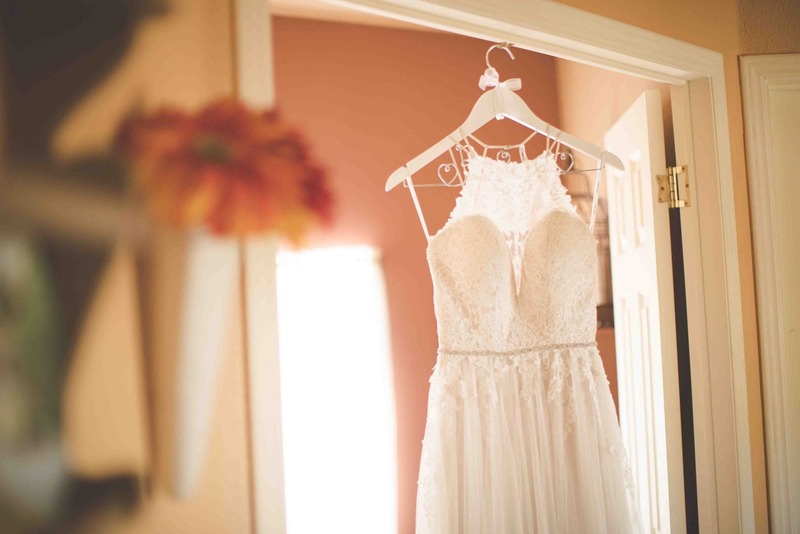 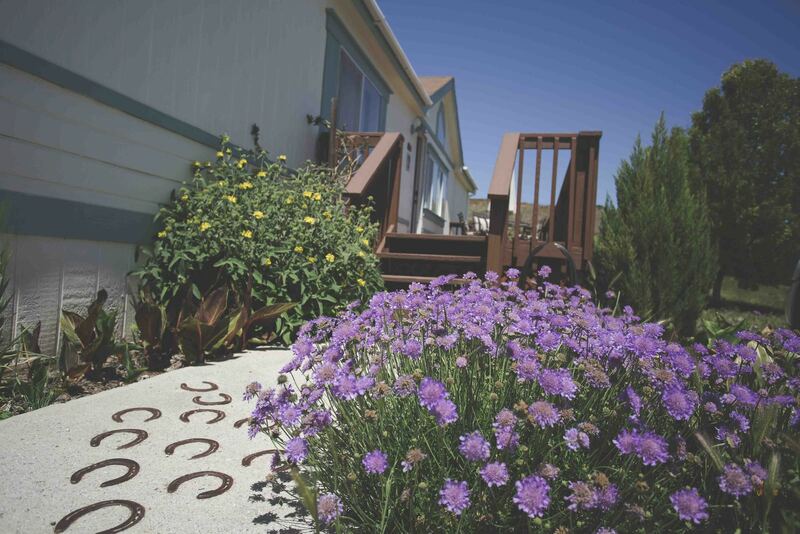 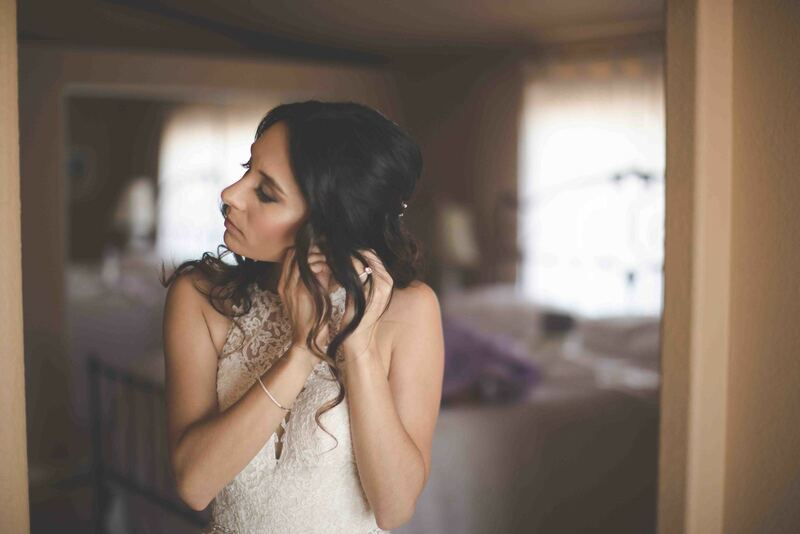 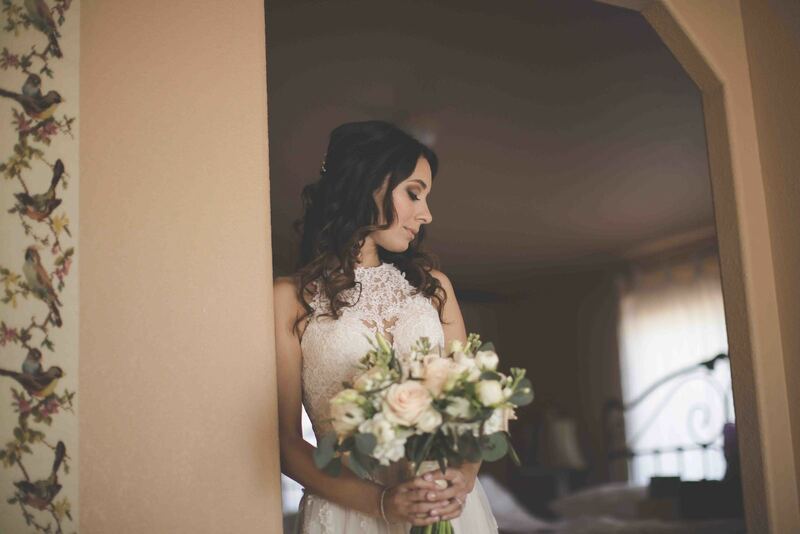 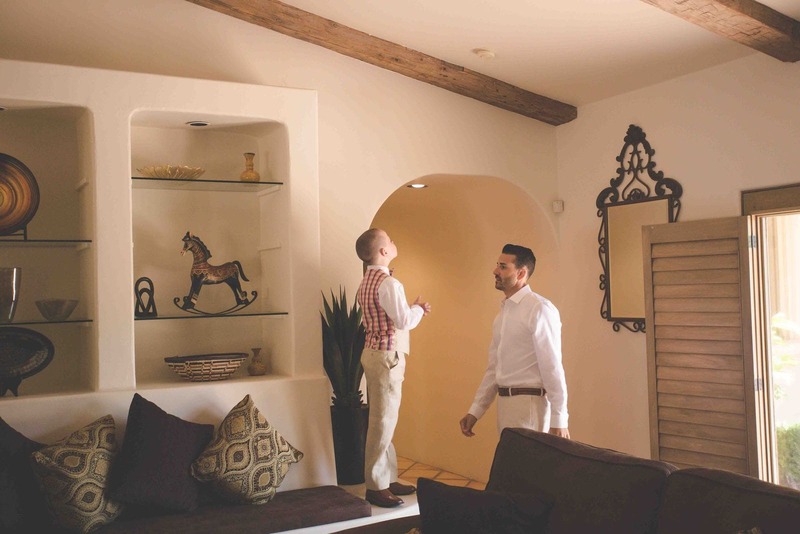 The day began at the Cass Winery bridal suite which has a beautifully decorated interior, giving it a warm ranch house vibe. 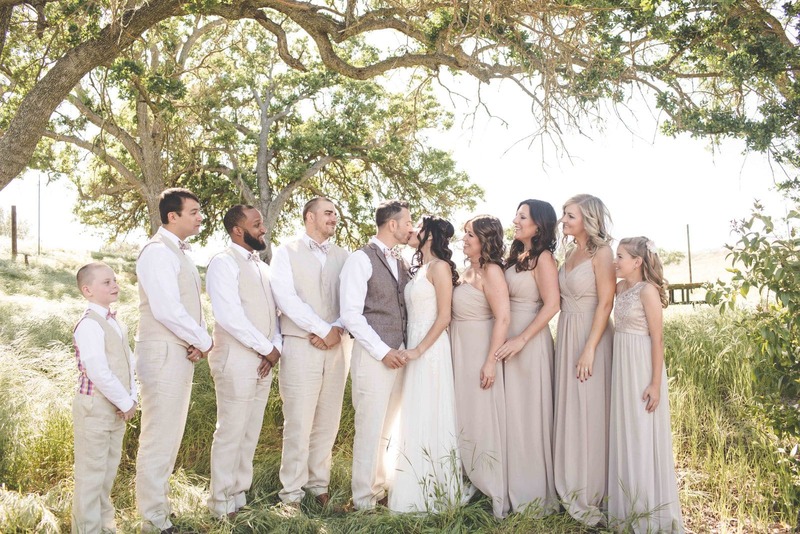 Sarah and her bridesmaids enjoyed chatting and laughing while being pampered by Rhonda Johnson Hair and Makeup while the groom and groomsmen got ready at an elegant Bed and Breakfast a short distance away from their wedding venue; their floral ties and matching handkerchiefs added a unique flair to the mens attire and went perfectly with the ladies floral arrangements, crafted by Lori Boe Floral Design. 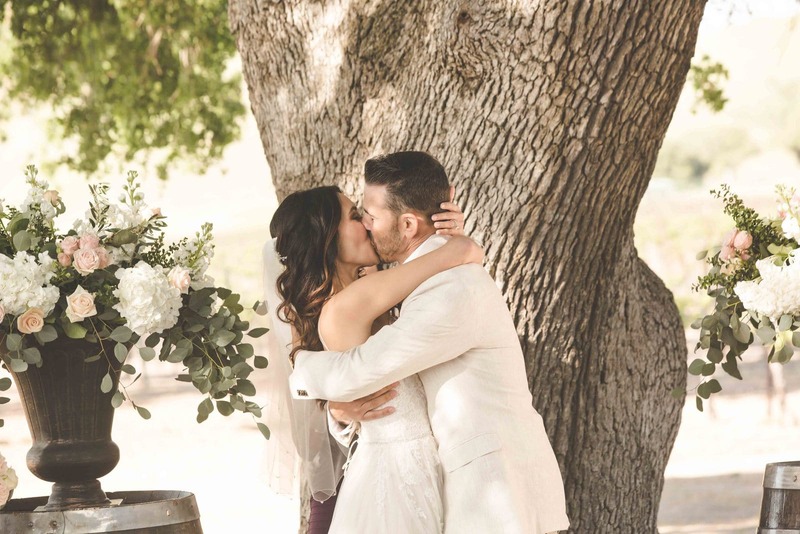 It was heart warming to witness the anticipation Sarah and Jordan felt as they awaited the moment that they would see one another for the first time – and what a moment it was! 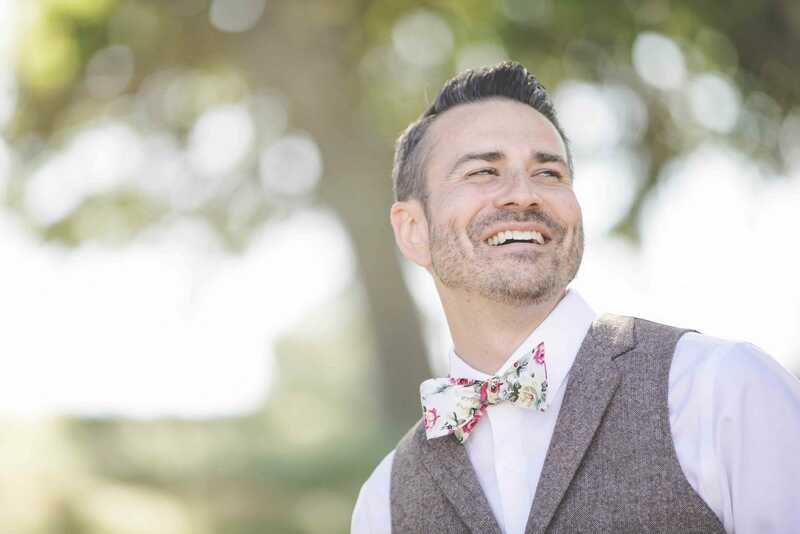 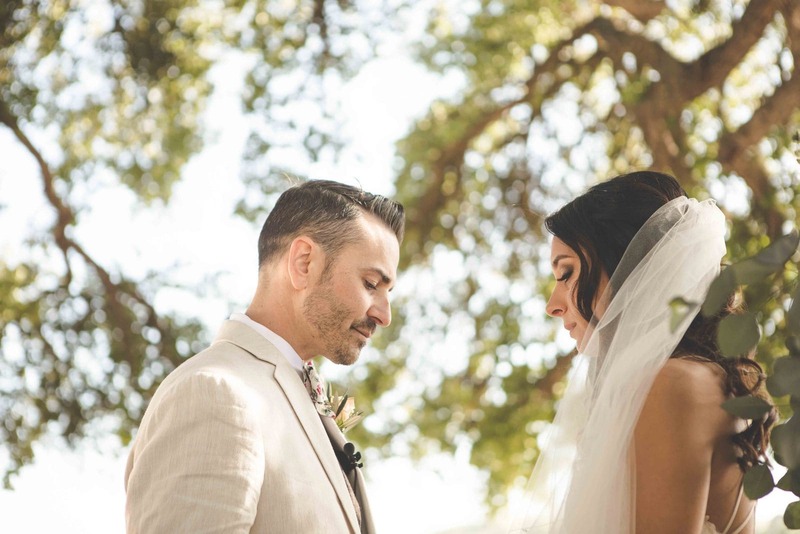 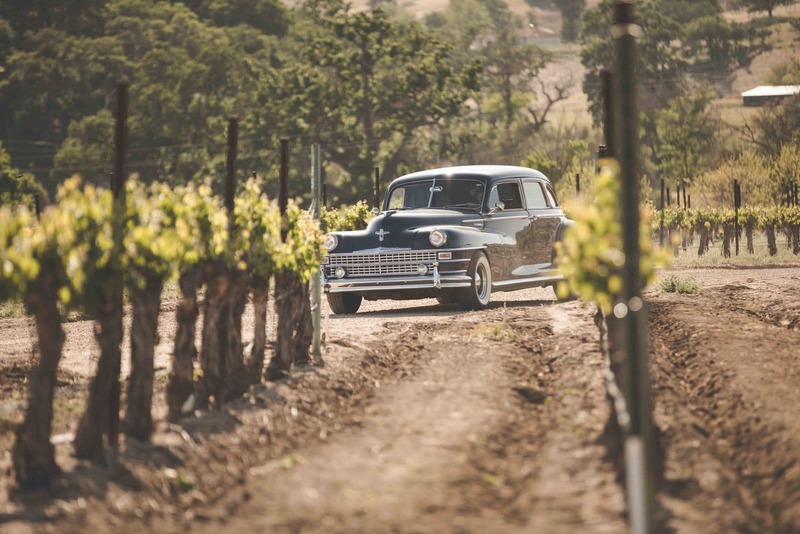 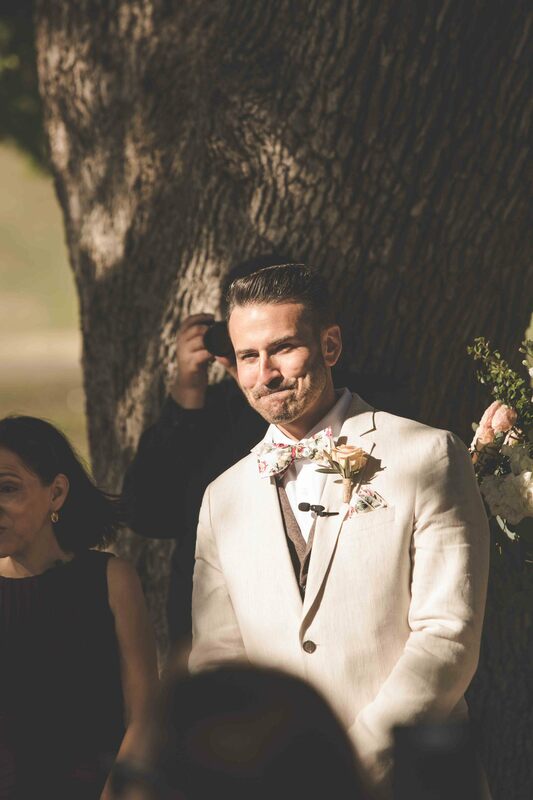 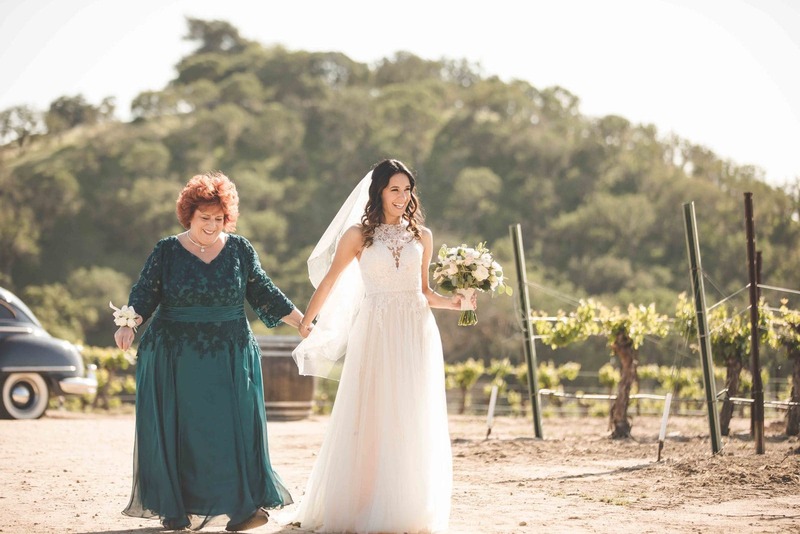 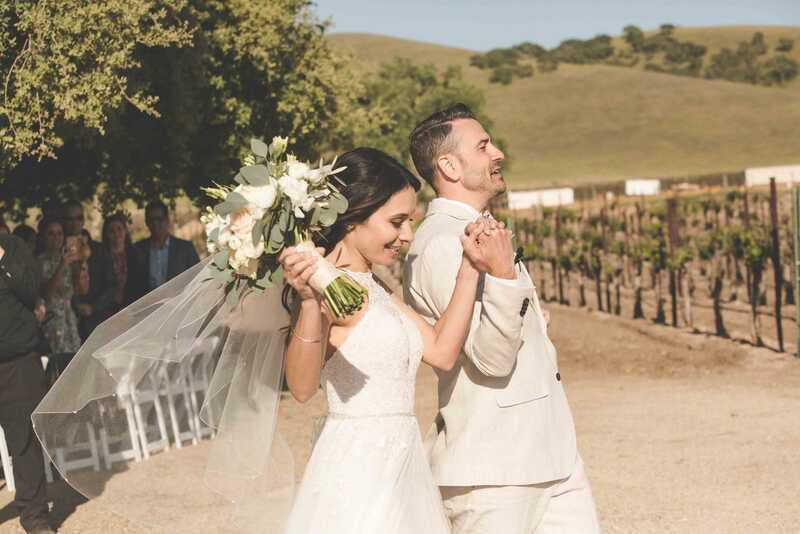 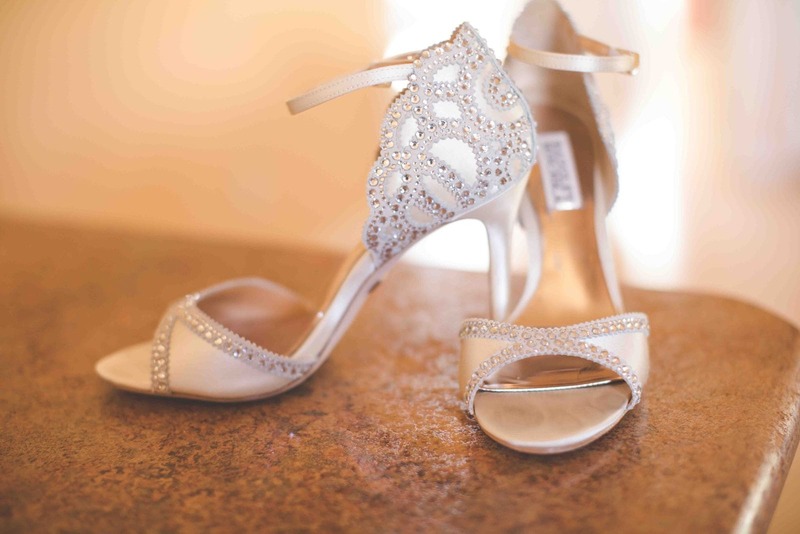 Their first look was captured by the Kramer Events Photography and Videography team on the shaded steps leading up to an overlook of Cass Vineyards. 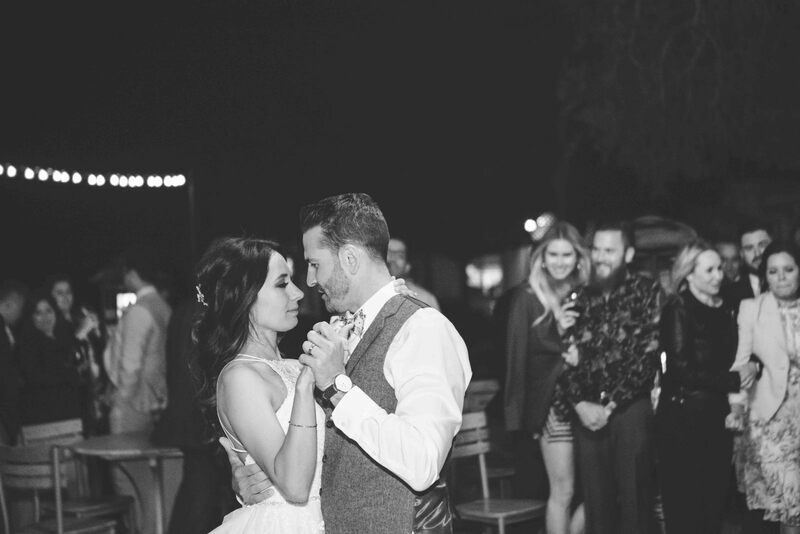 The soon to be newlyweds were in their own little world as they gazed upon one another with intense love in their eyes. 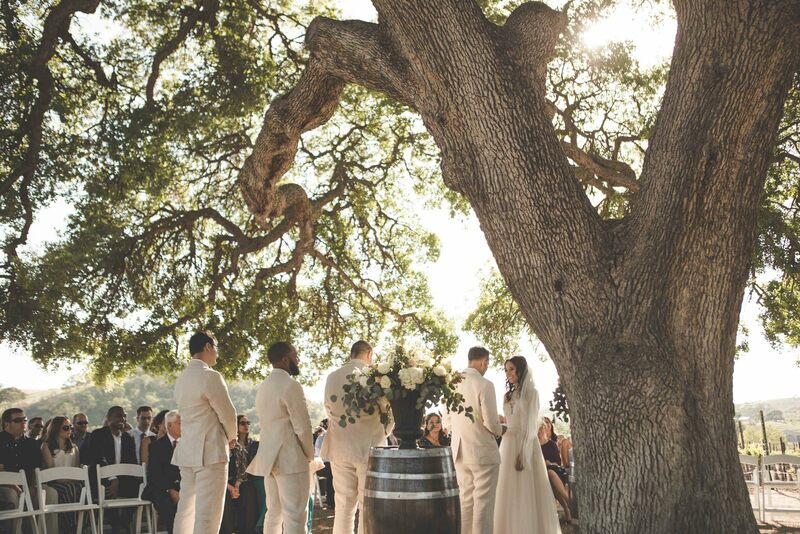 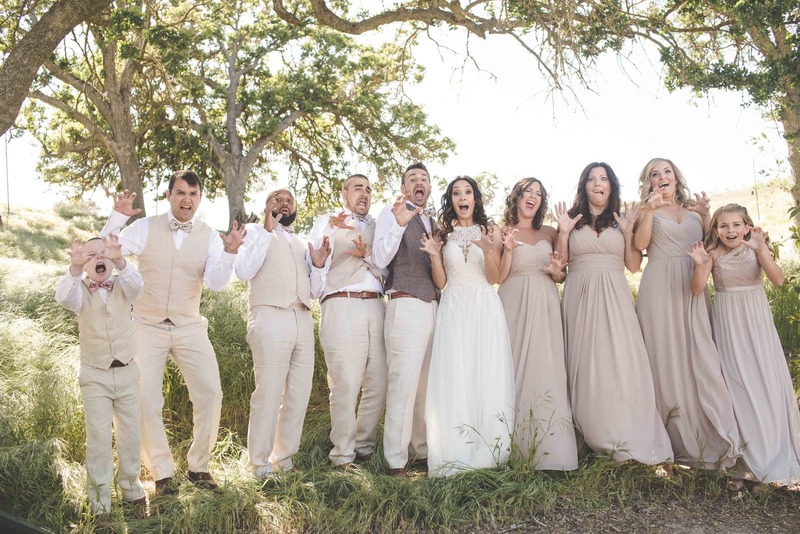 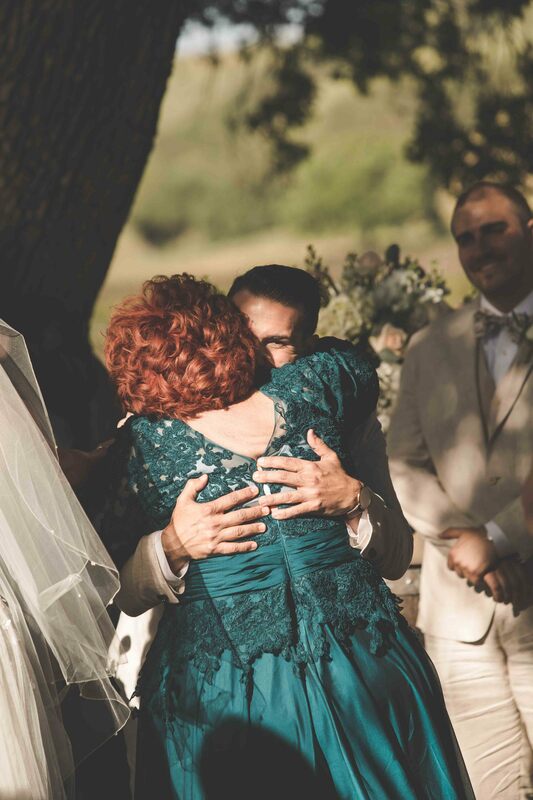 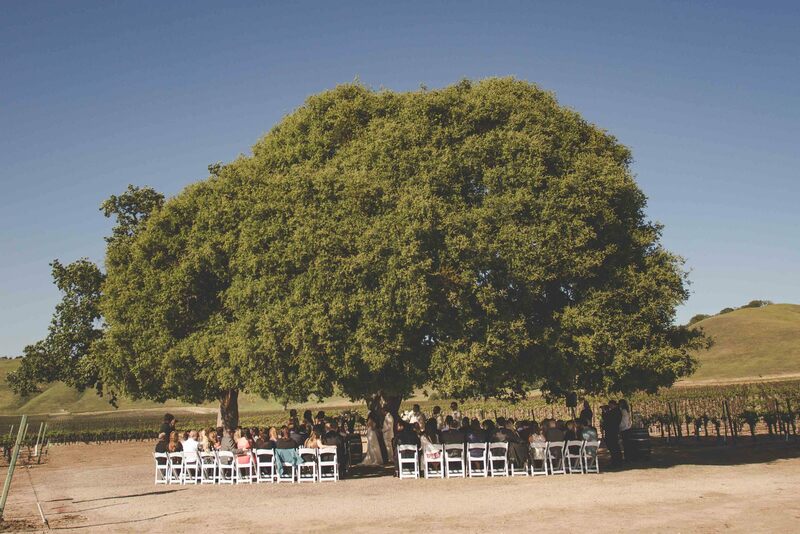 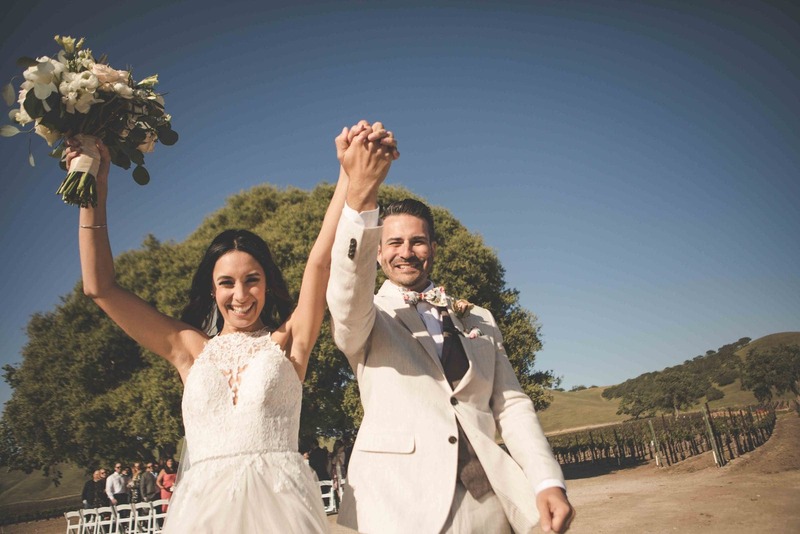 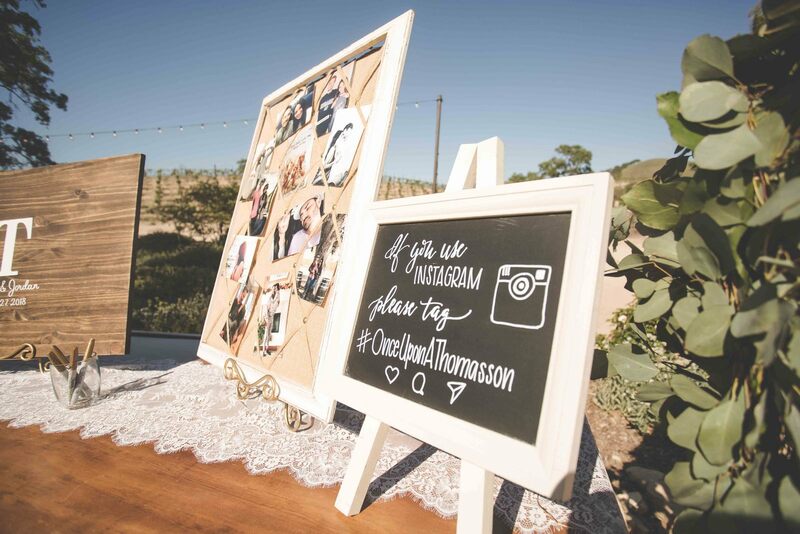 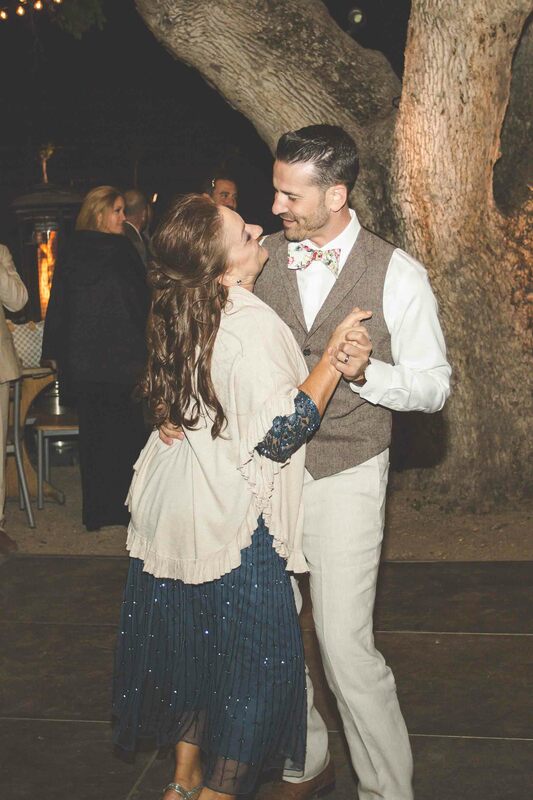 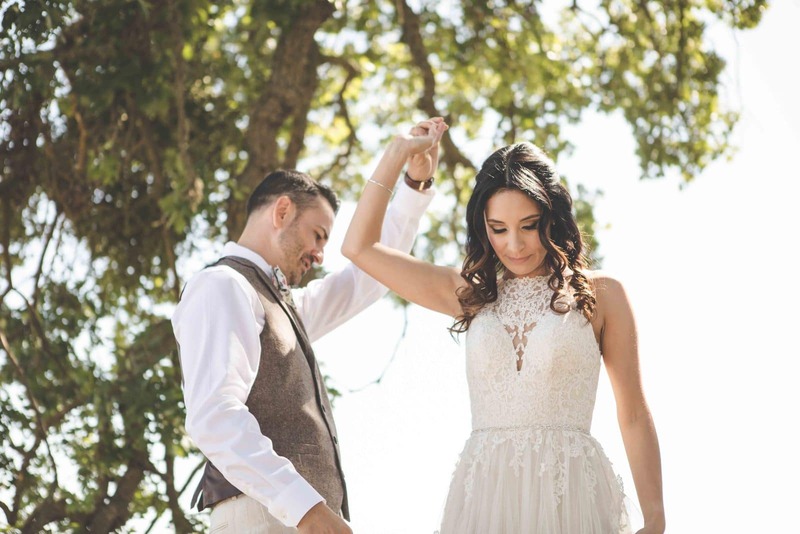 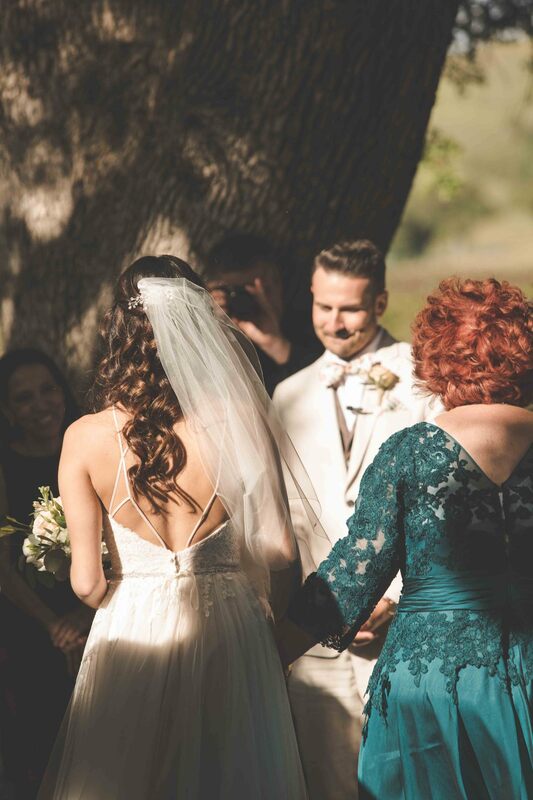 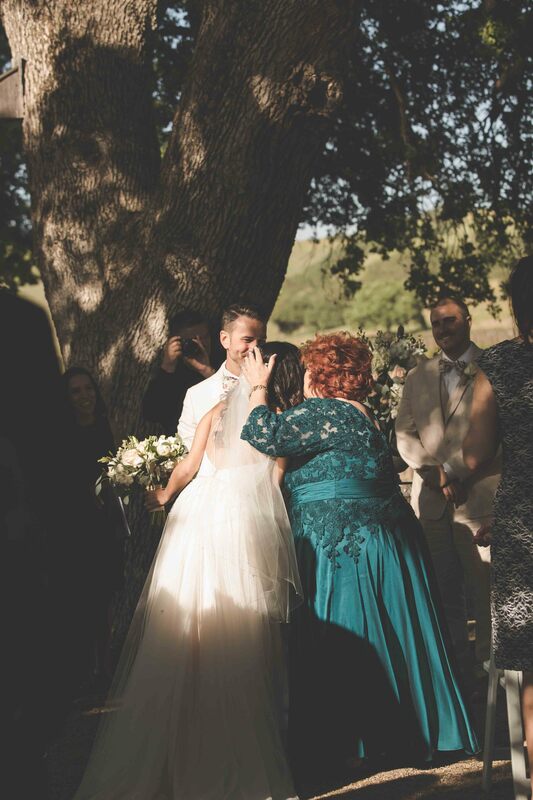 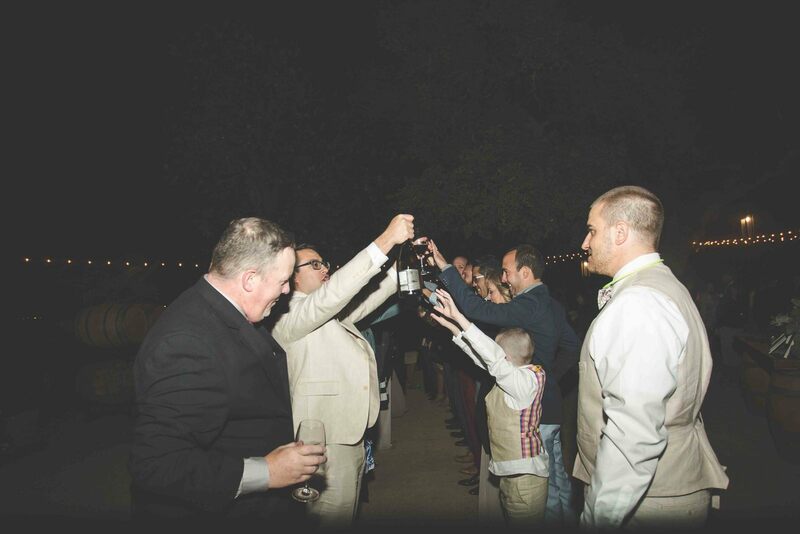 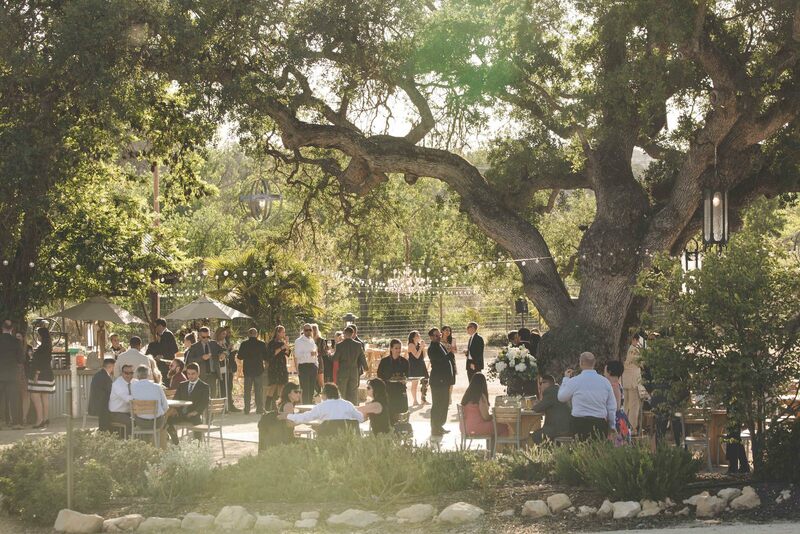 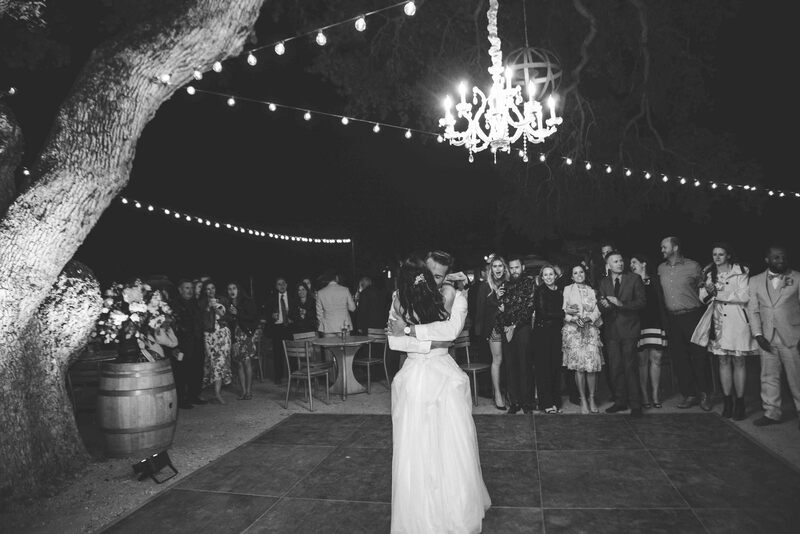 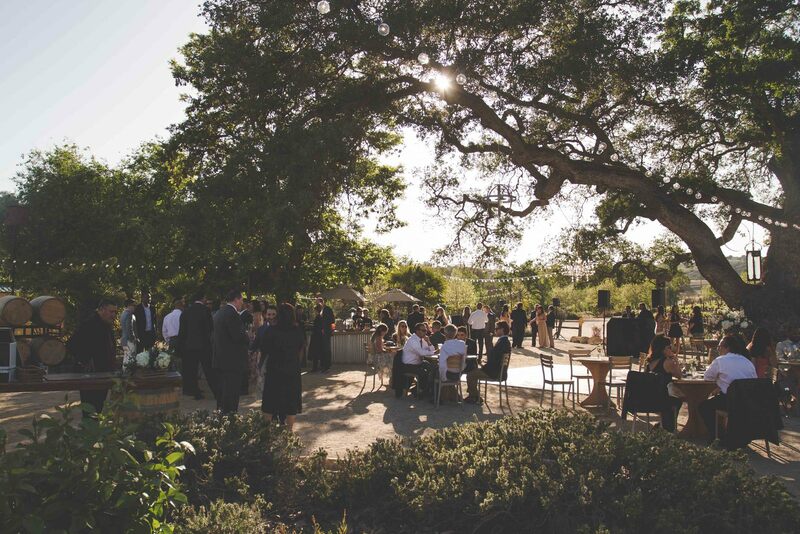 The love and excitement only grew from there as we all moved on to the ceremony site that Cass is famous for – a giant oak tree that provides a comfortably shaded area amongst the vineyards. 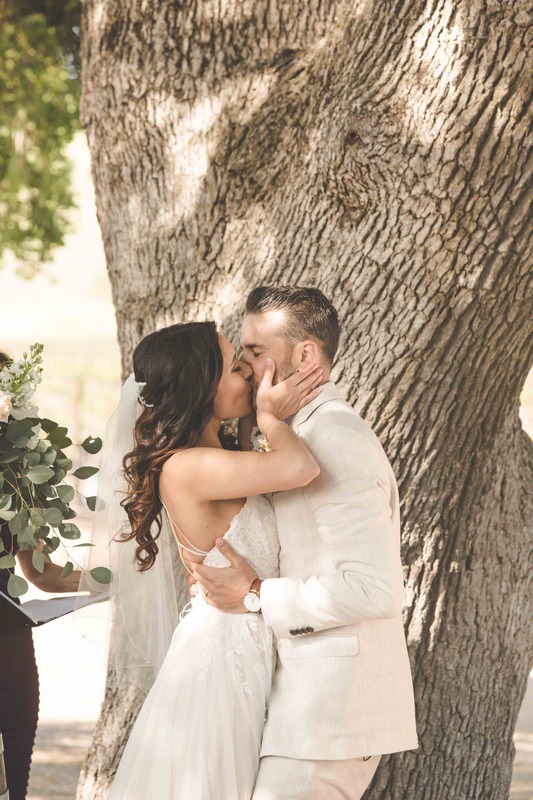 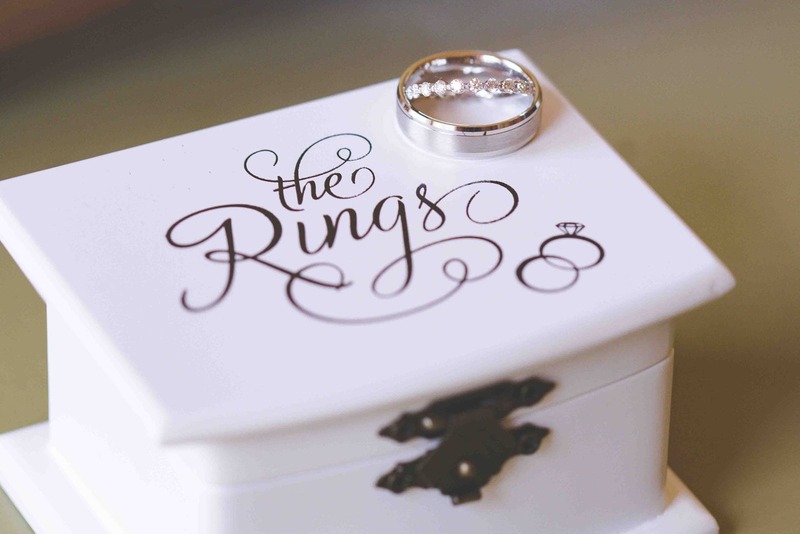 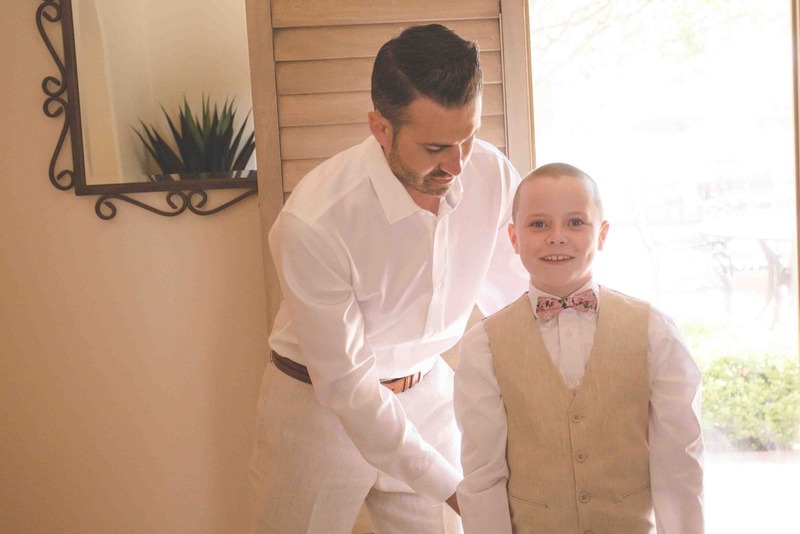 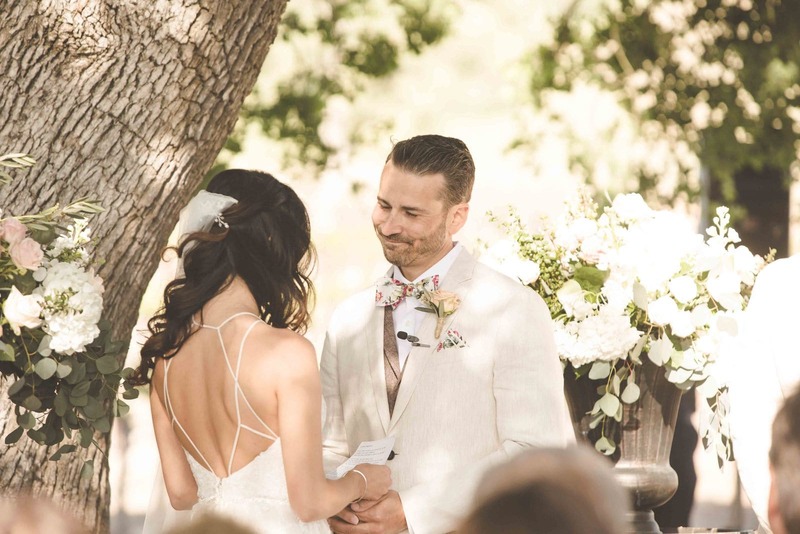 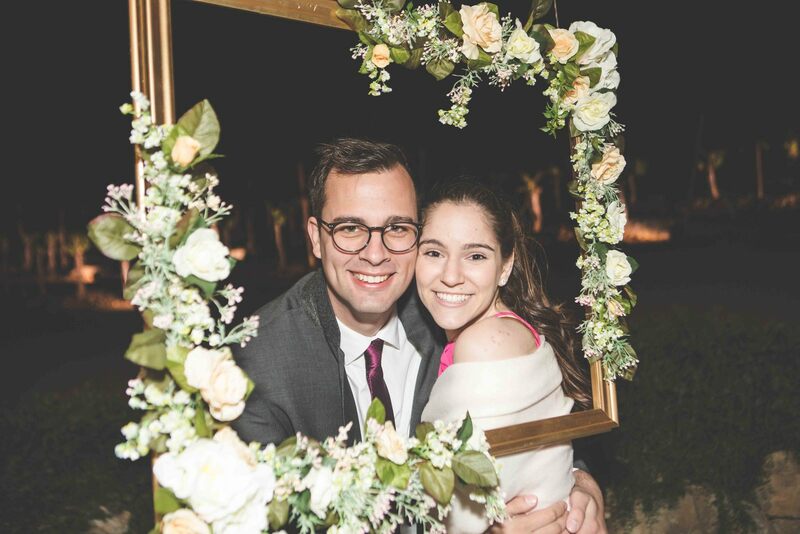 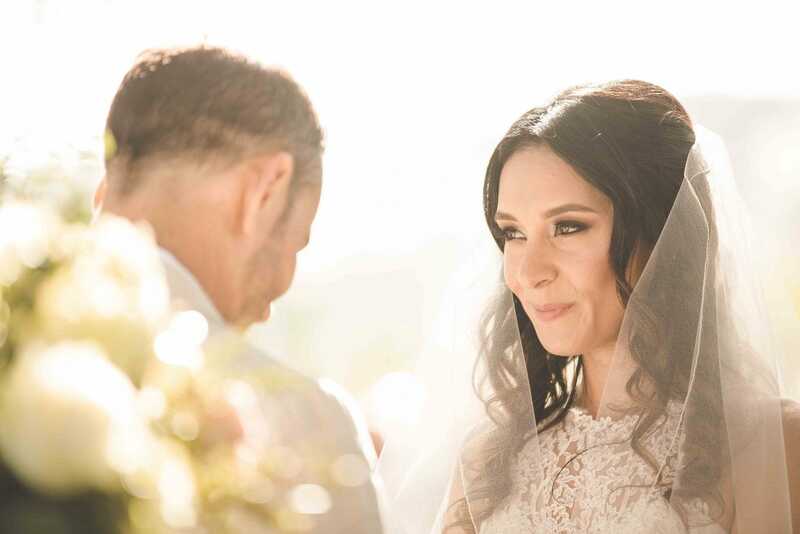 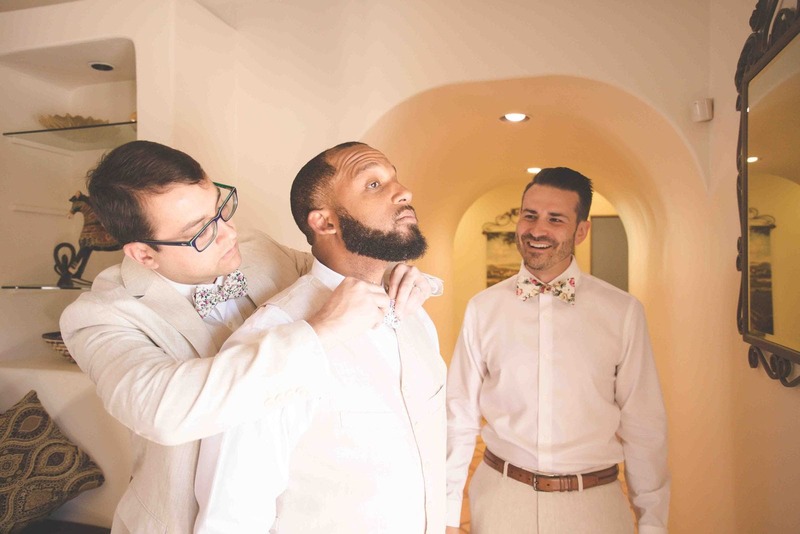 The couple’s handwritten vows to one another were enough to bring tears to the eyes of many of their loved ones who had been a part of their journey leading up to this day. 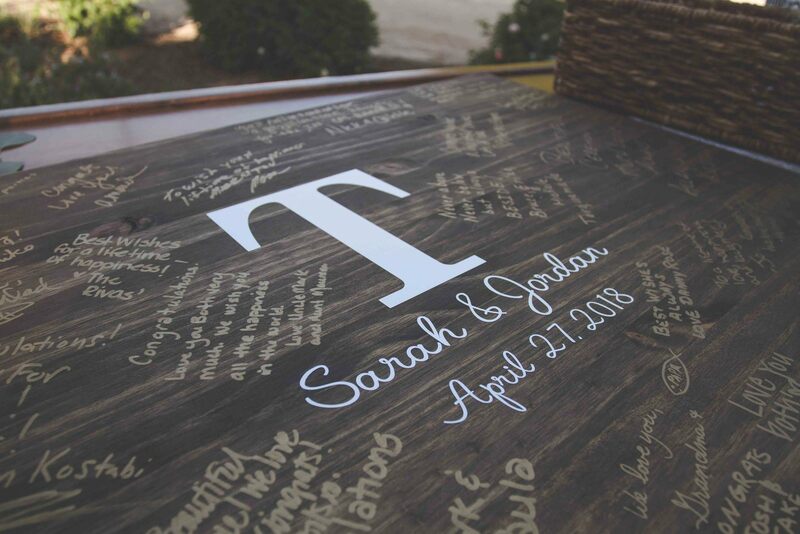 Sarah and Jordan had waited a long time to find one another and they seemed to know as soon as they met that this was the love they had each been waiting for. 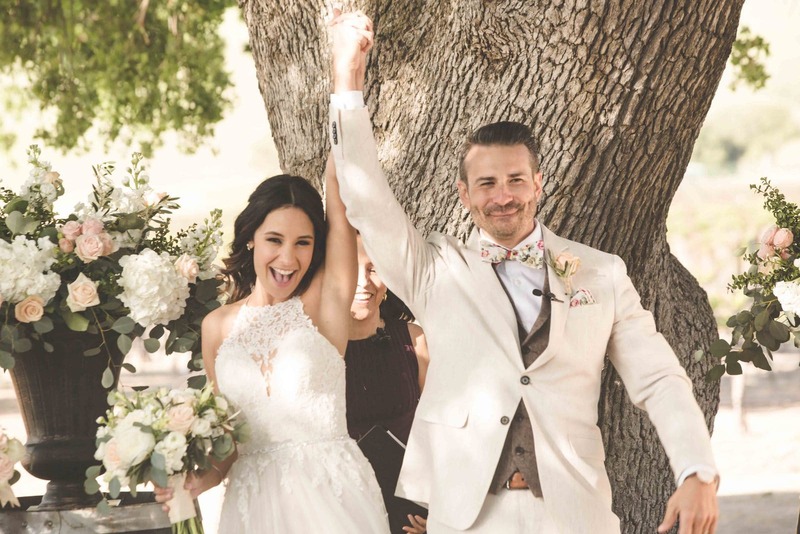 After sharing a passionate first kiss as newly weds, they danced down the aisle hand in hand with the biggest smiles on each of their faces. 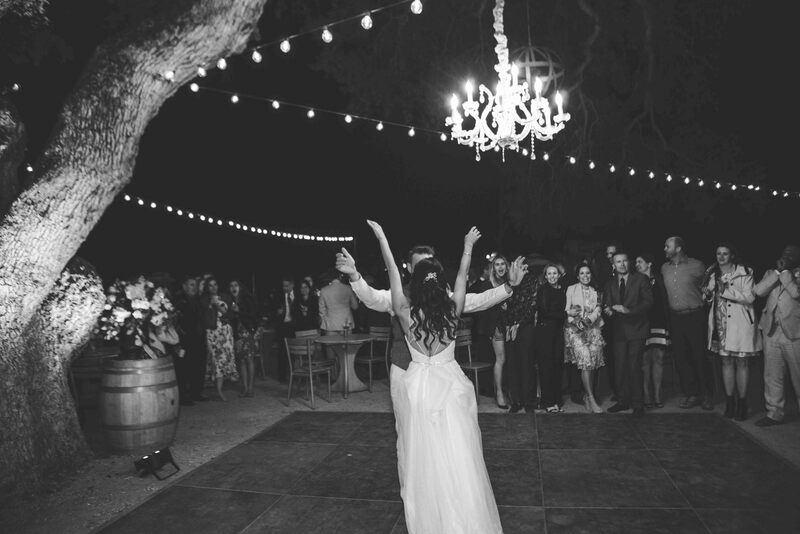 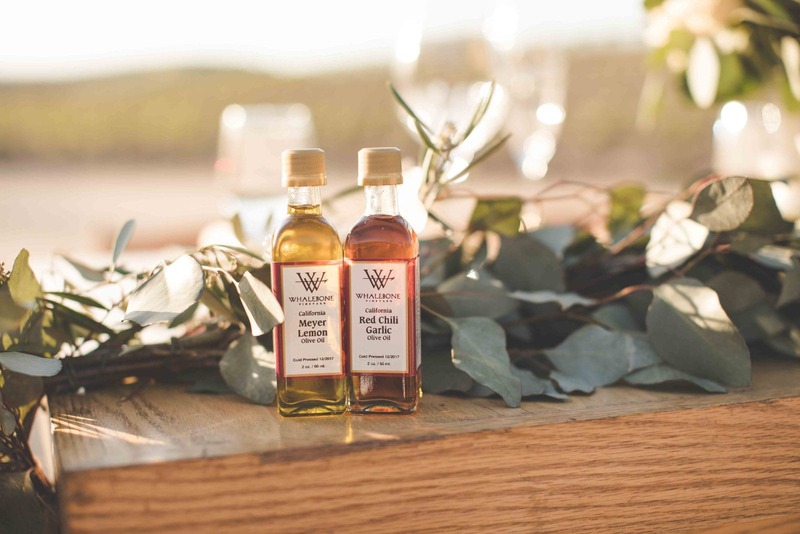 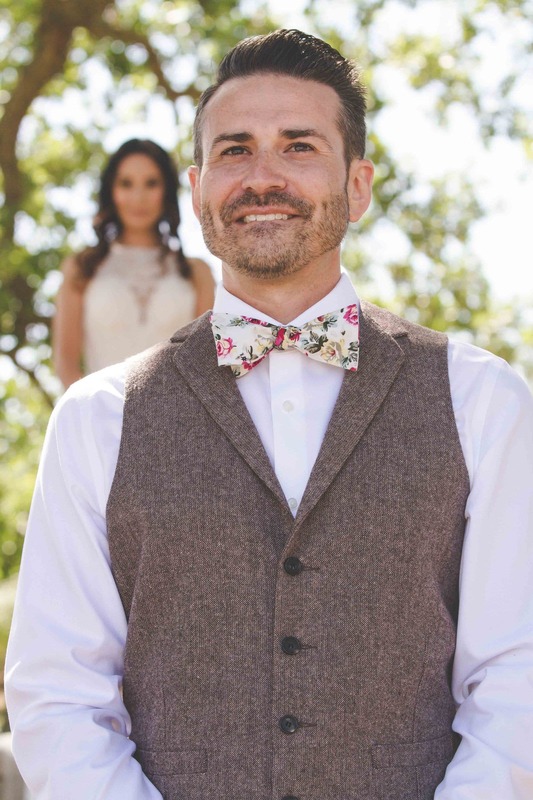 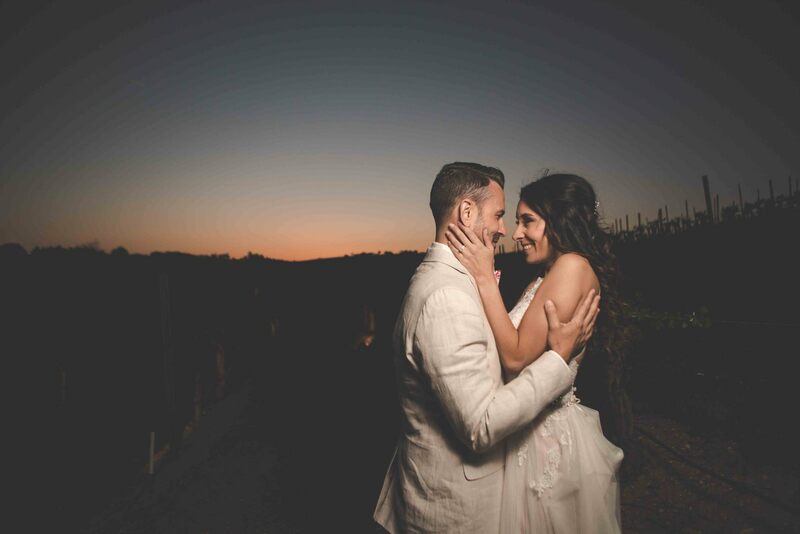 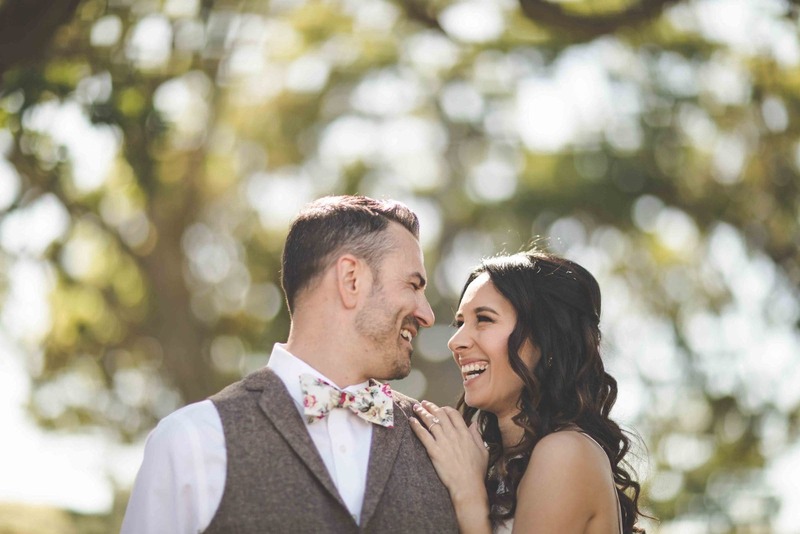 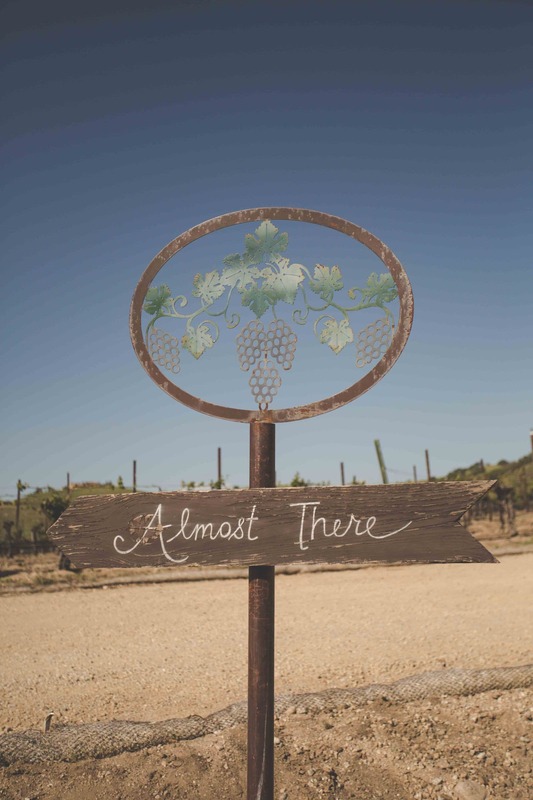 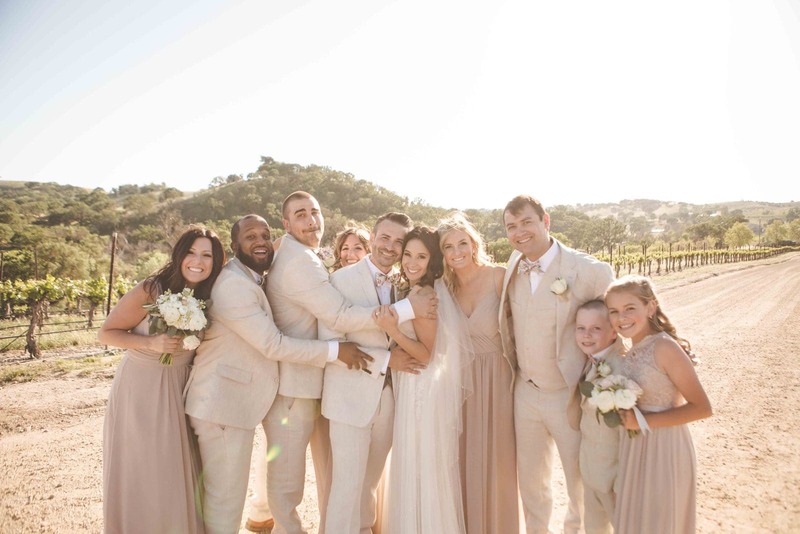 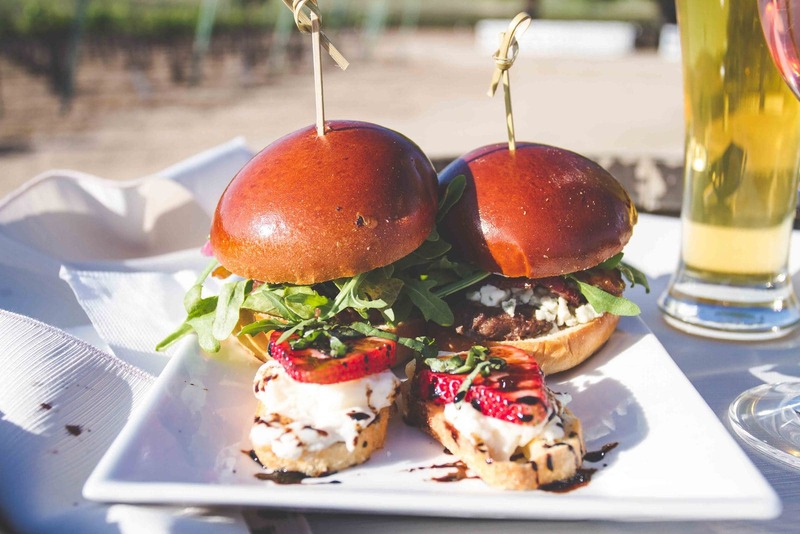 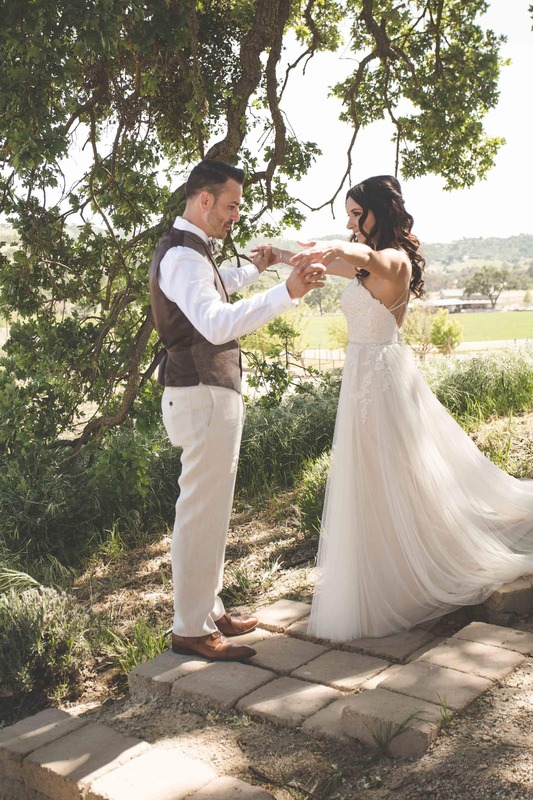 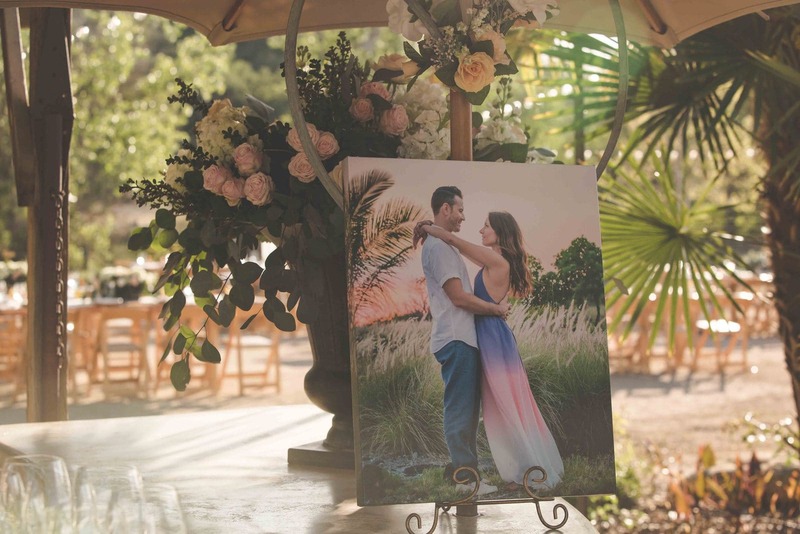 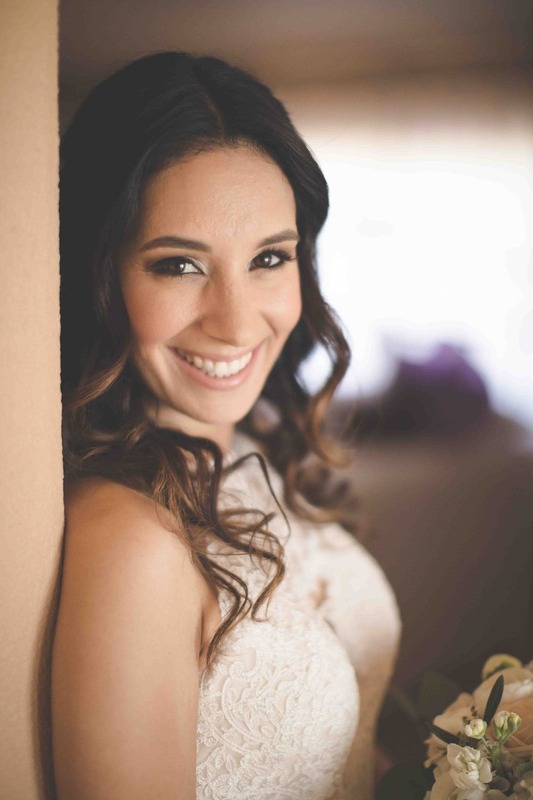 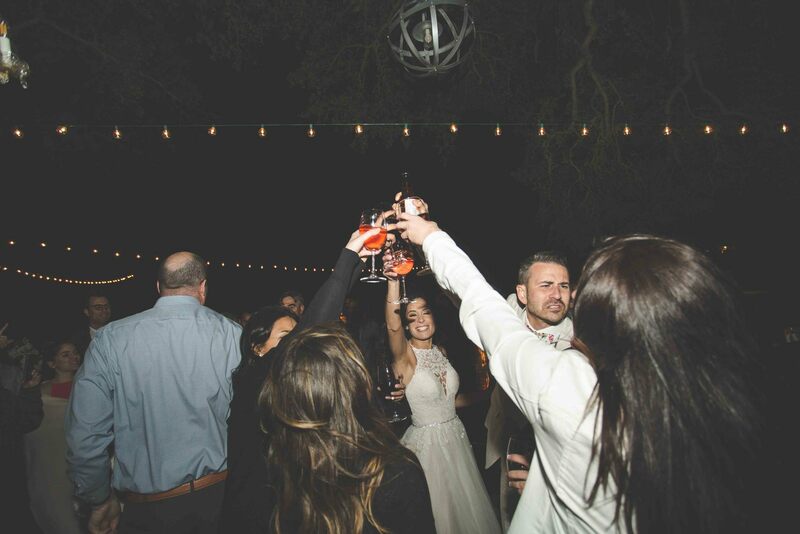 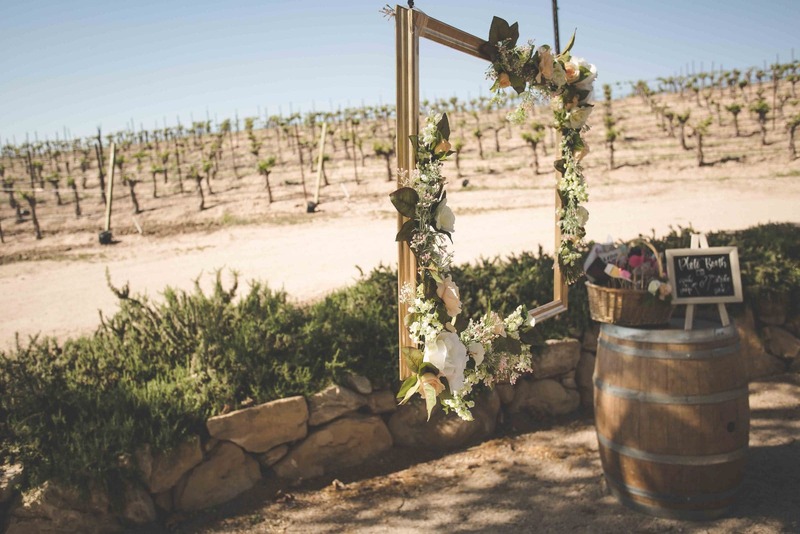 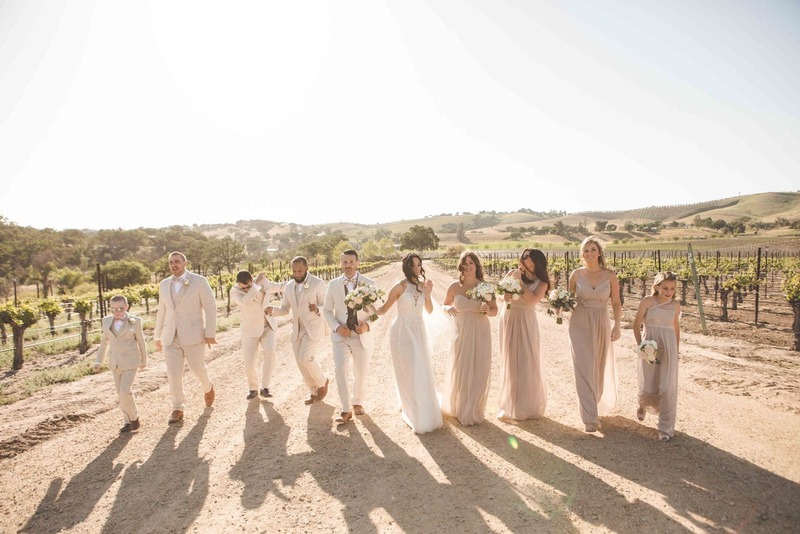 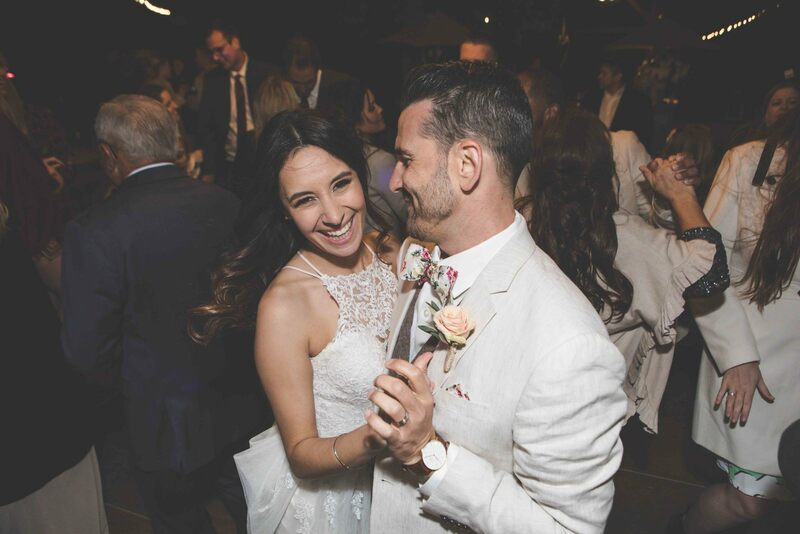 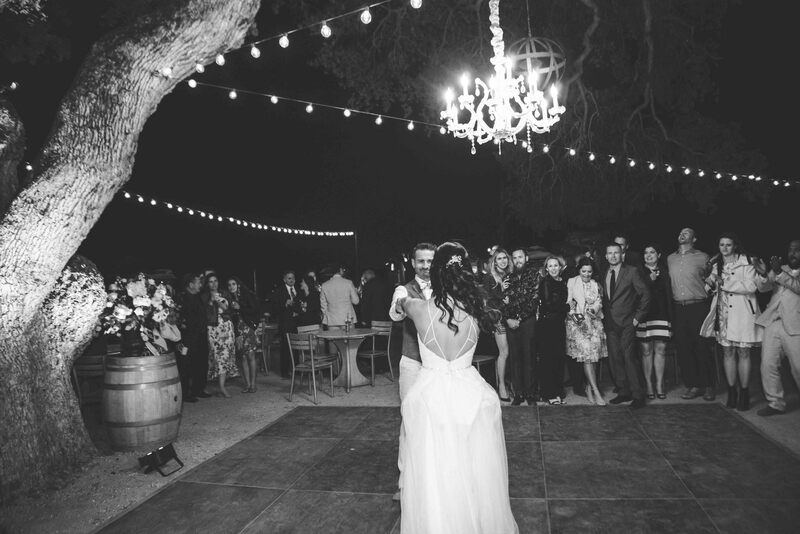 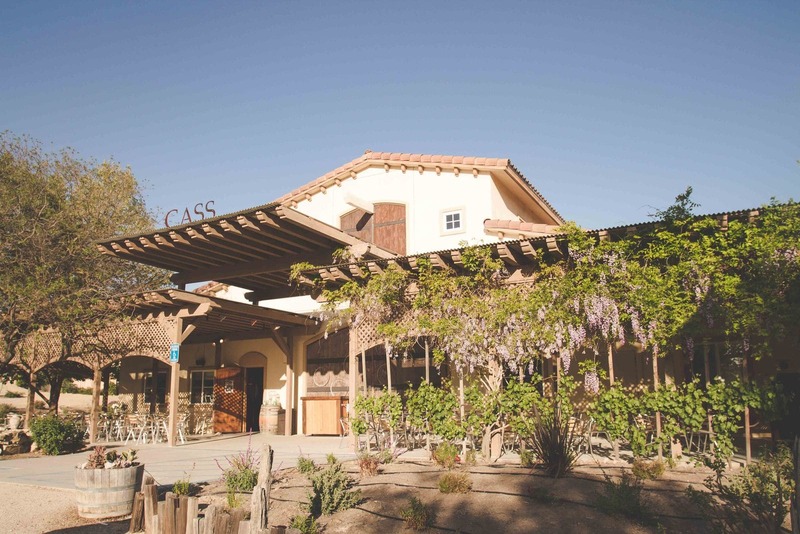 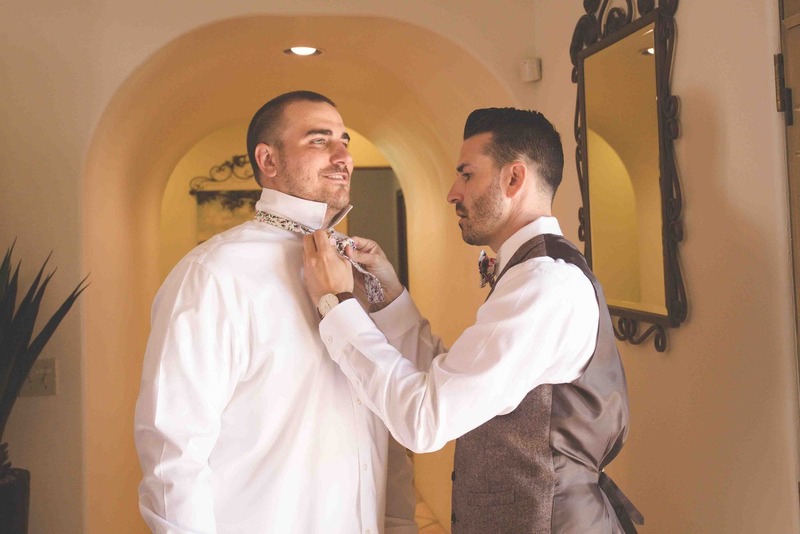 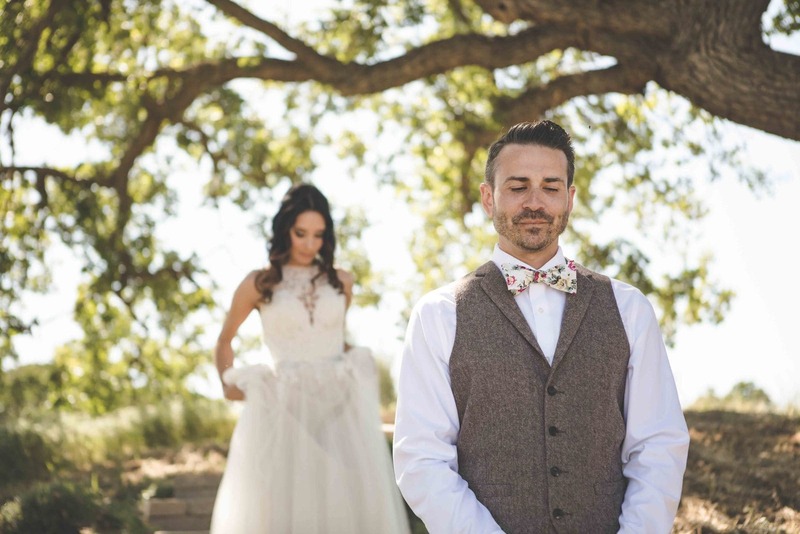 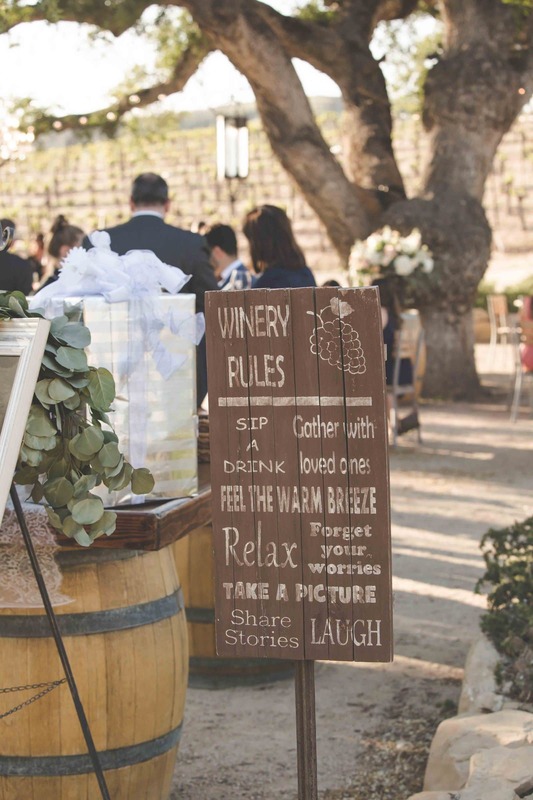 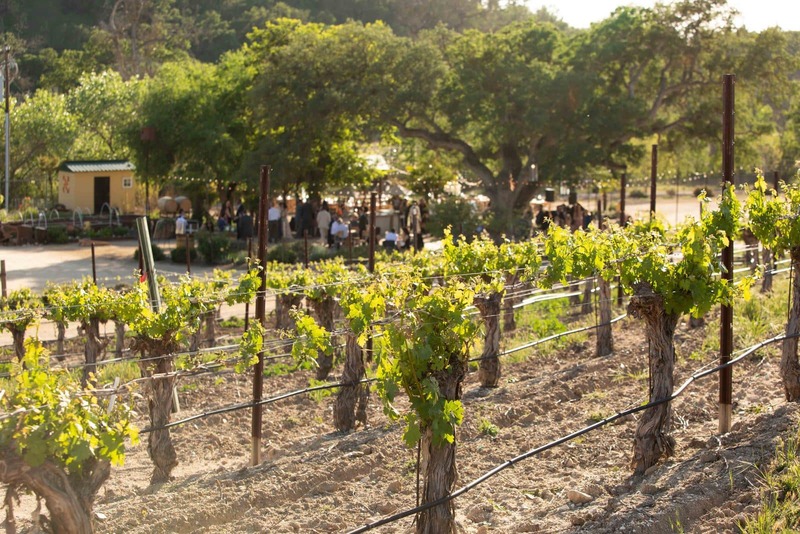 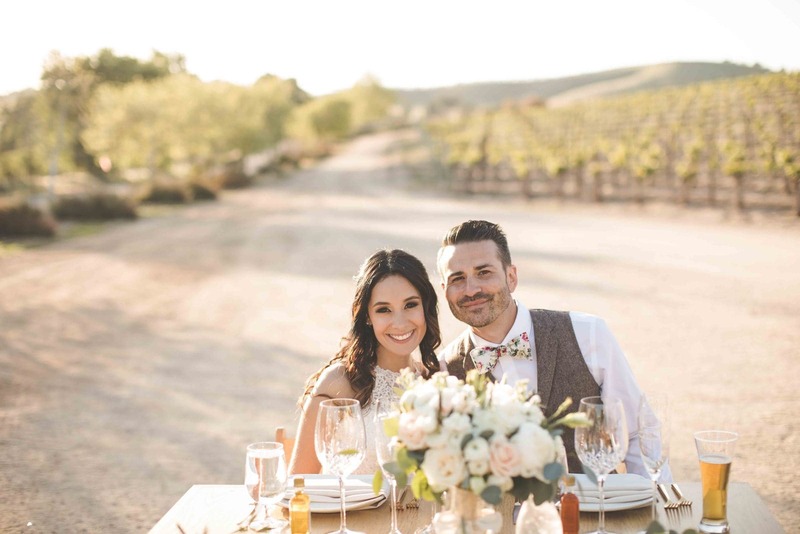 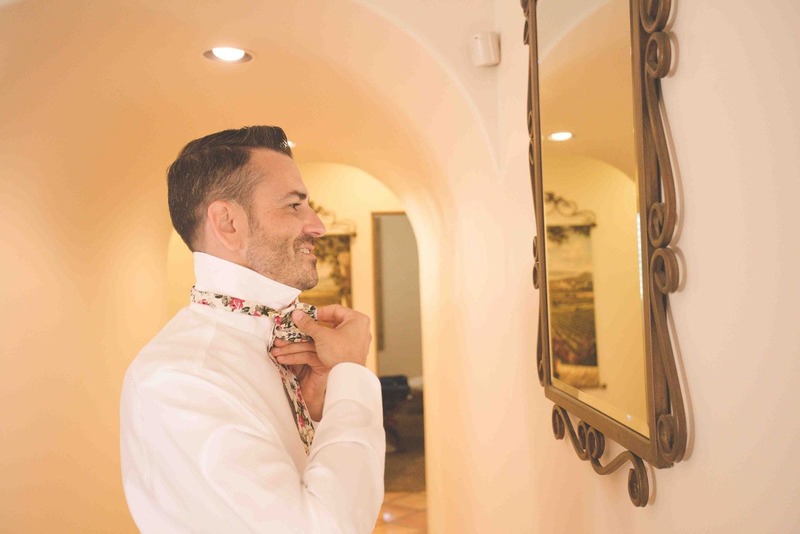 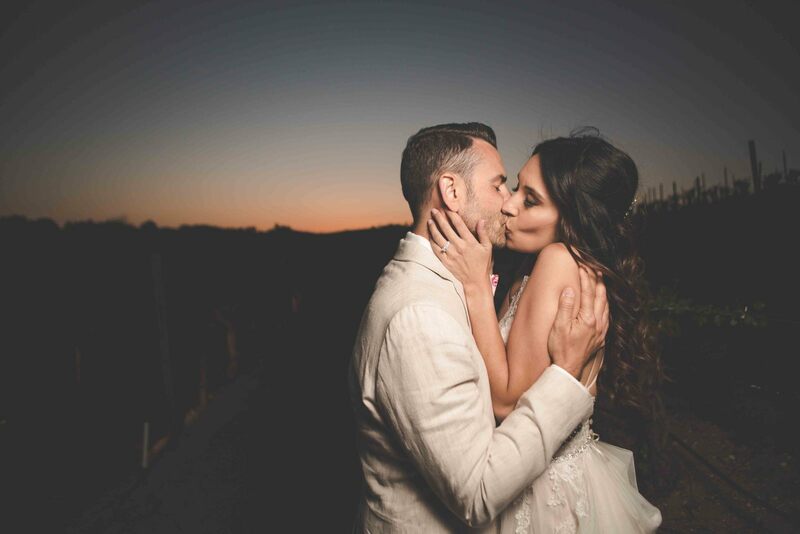 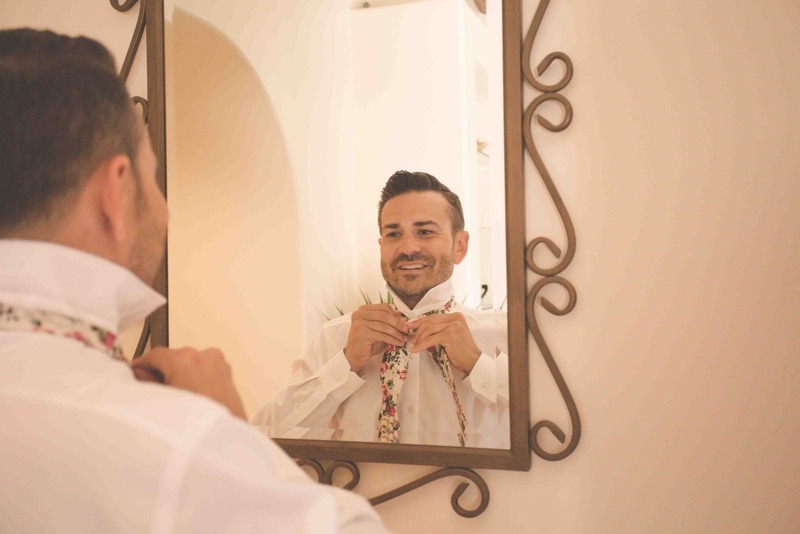 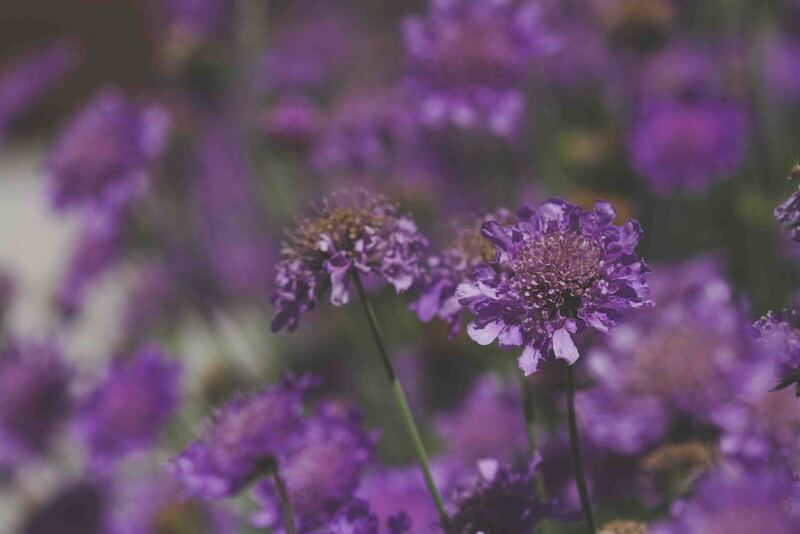 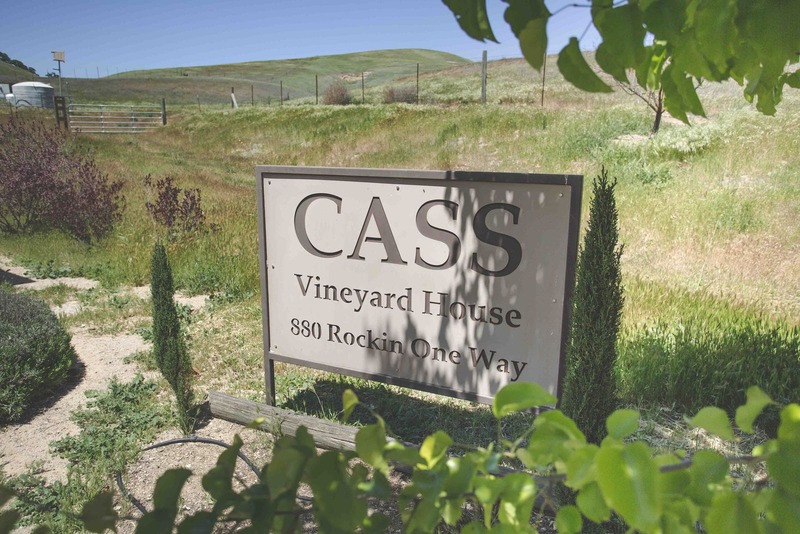 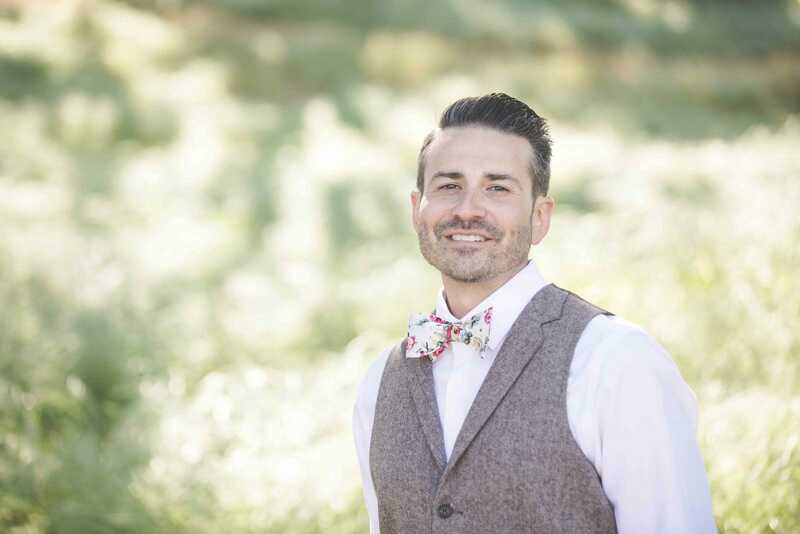 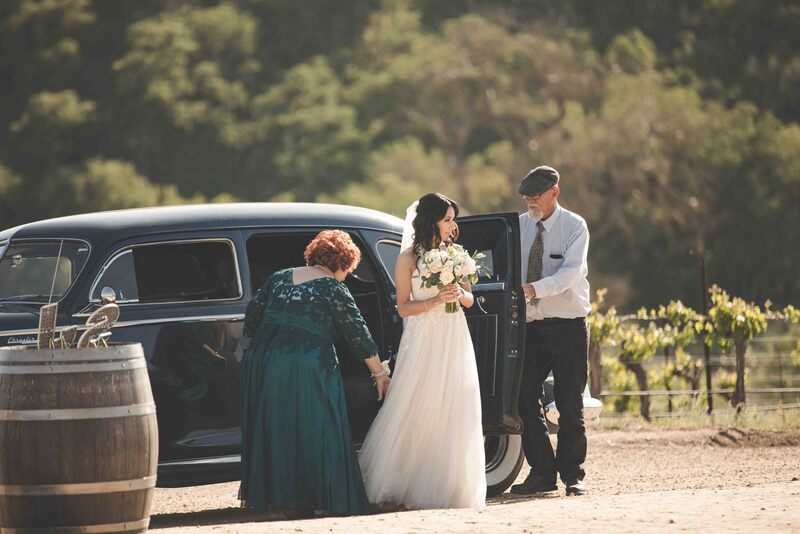 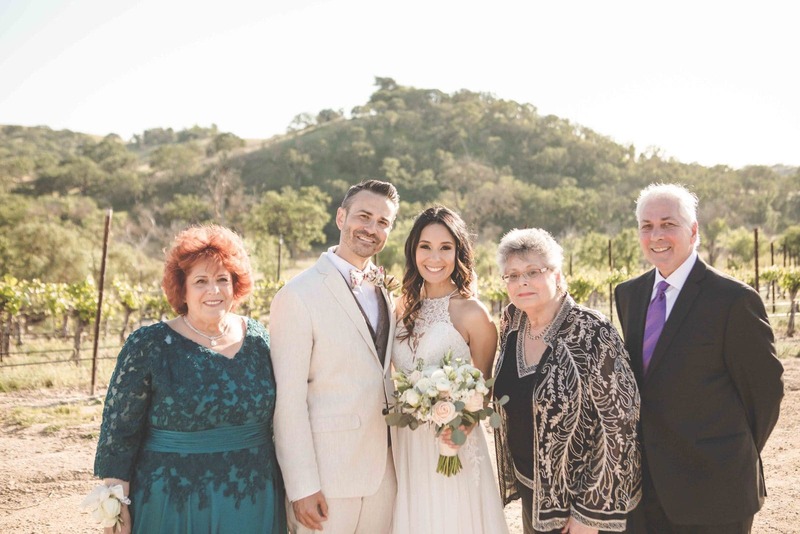 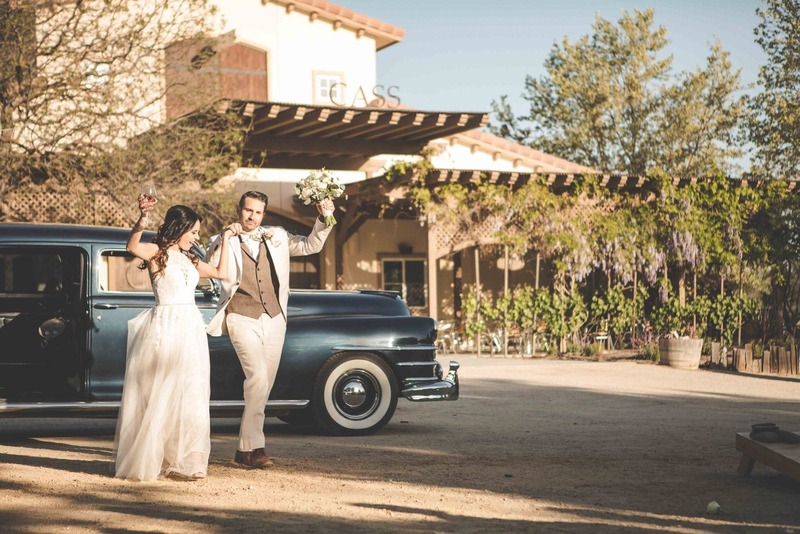 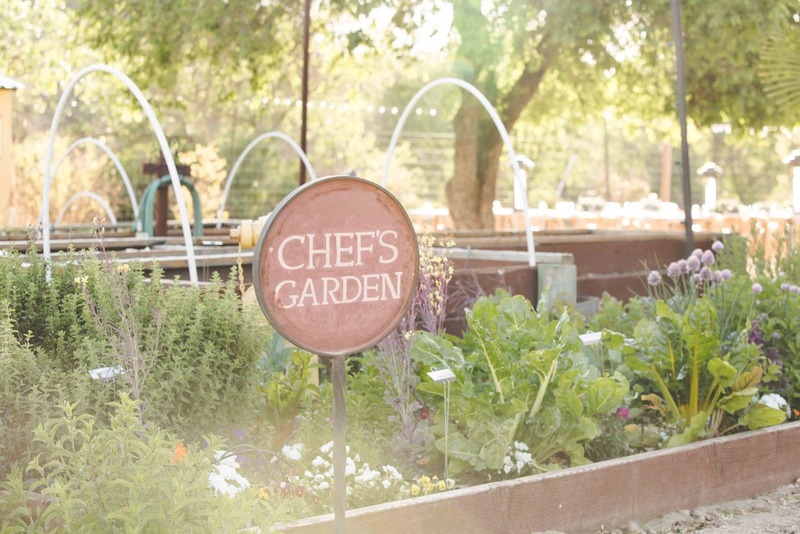 Cass Winery is a great example of an all inclusive Central Coast Wedding Venue; their coordination team ensured that the transitions through the timeline flowed smoothly and the couple was well taken care of the whole time. 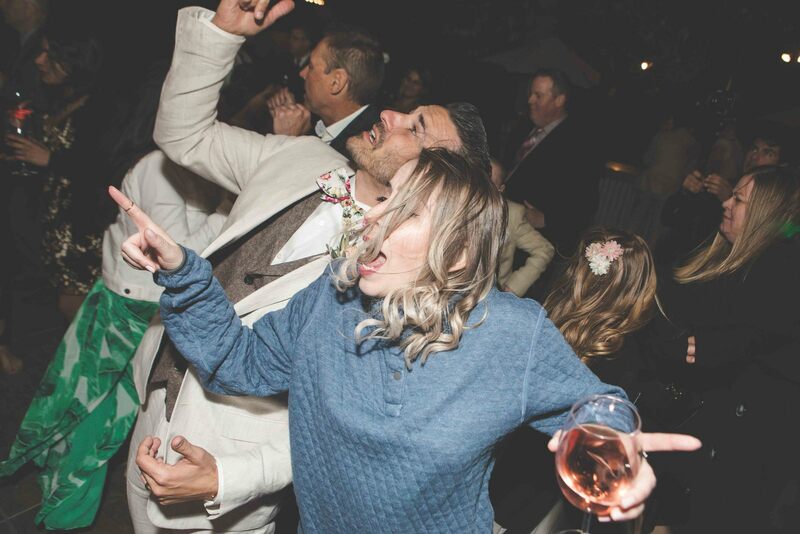 Kramer Events Dj Lou Mars is always engaged with the dance floor and definitely knows how to get the crowd singing and dancing in full force. 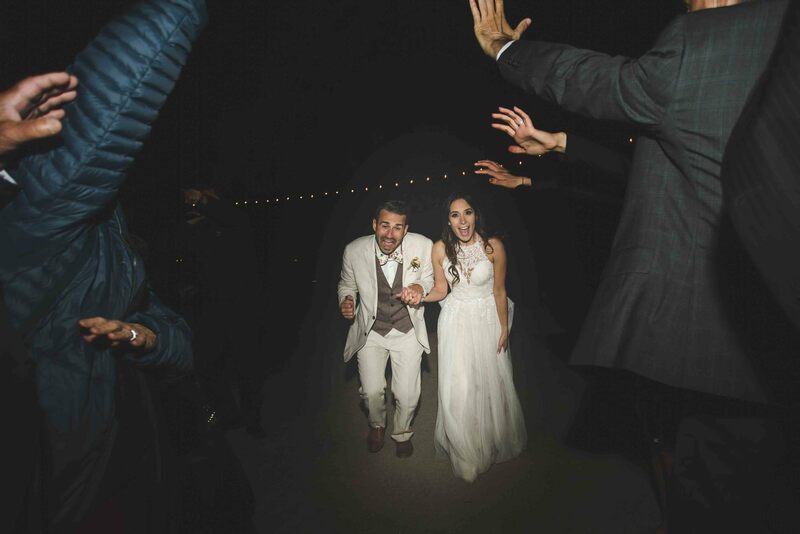 The evening ended with a human tunnel that the couple proceeded to run through then jumped into the vintage car that was awaiting them.